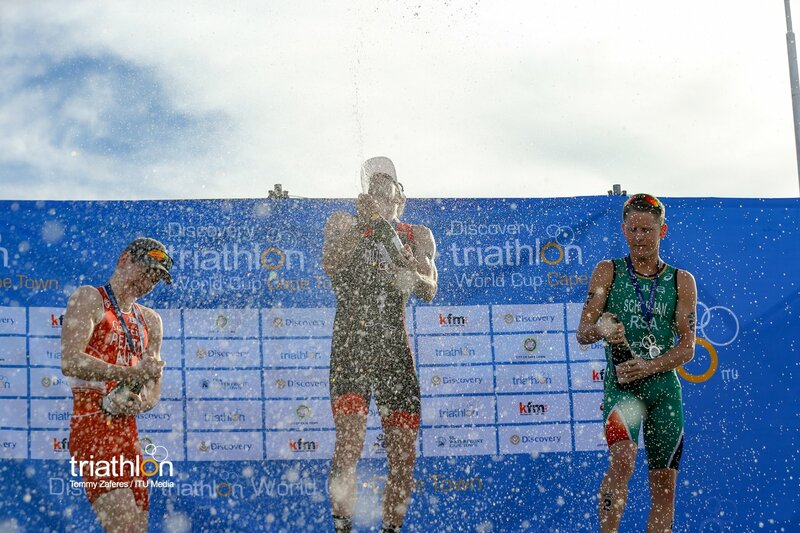 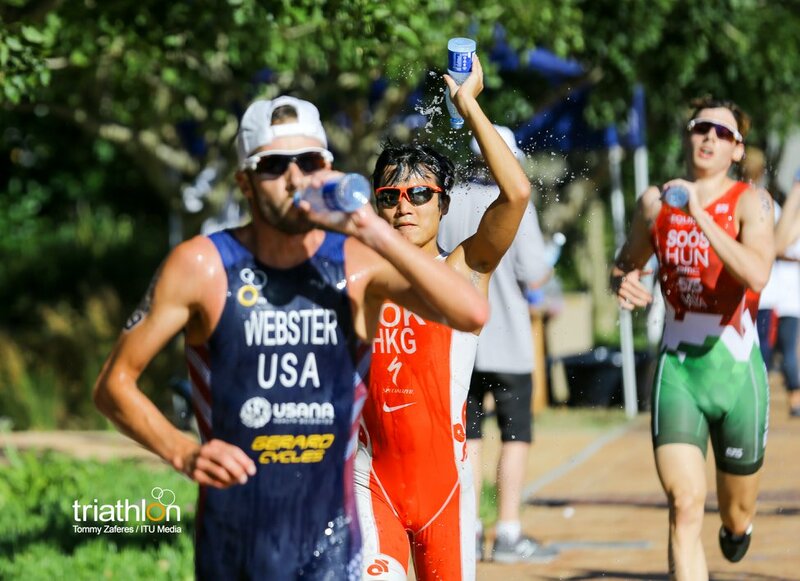 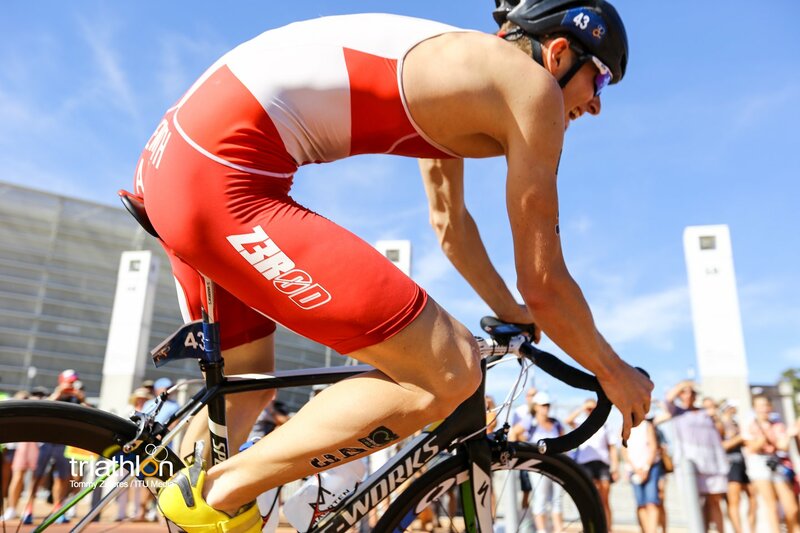 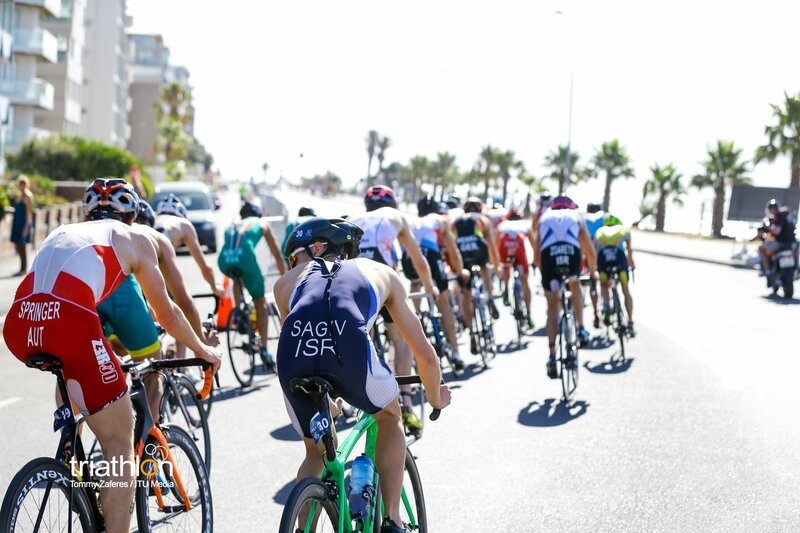 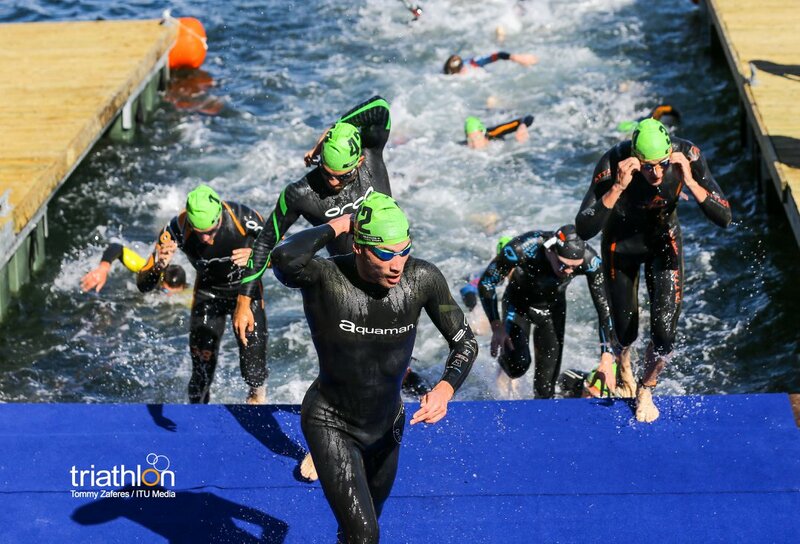 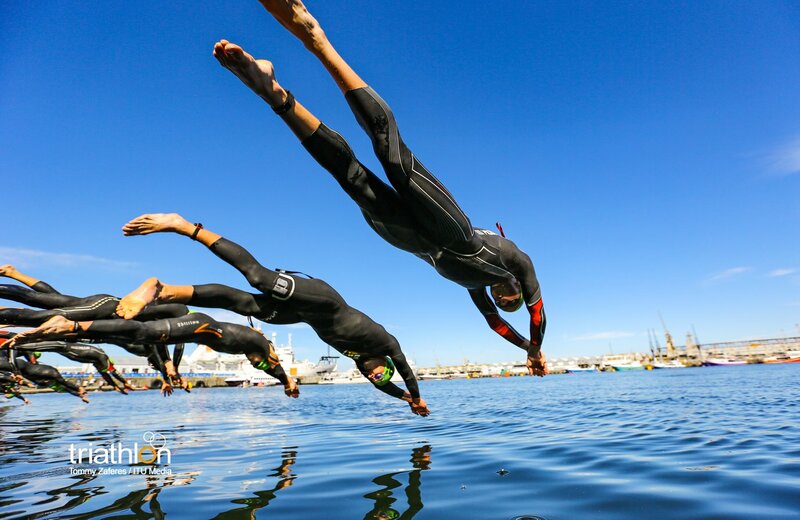 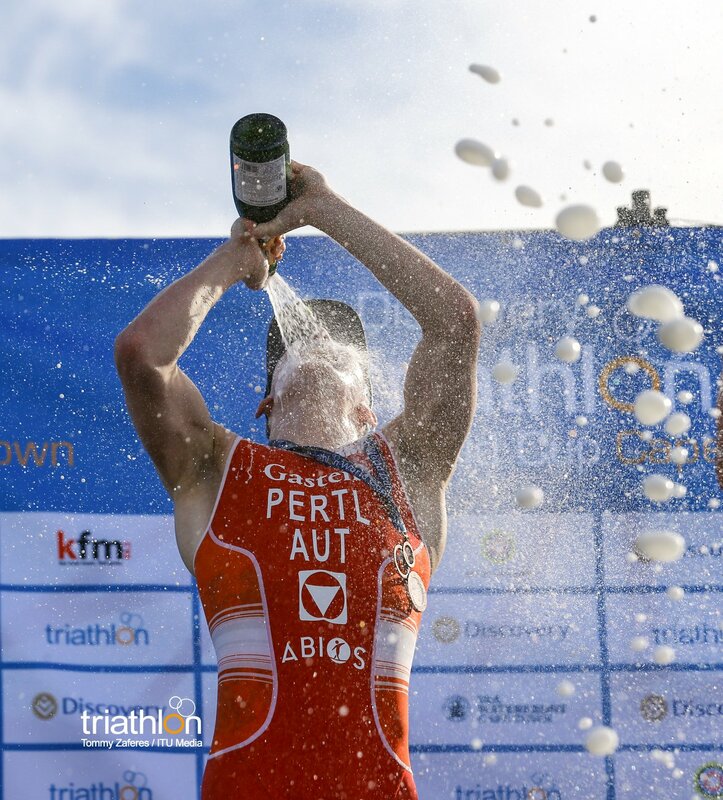 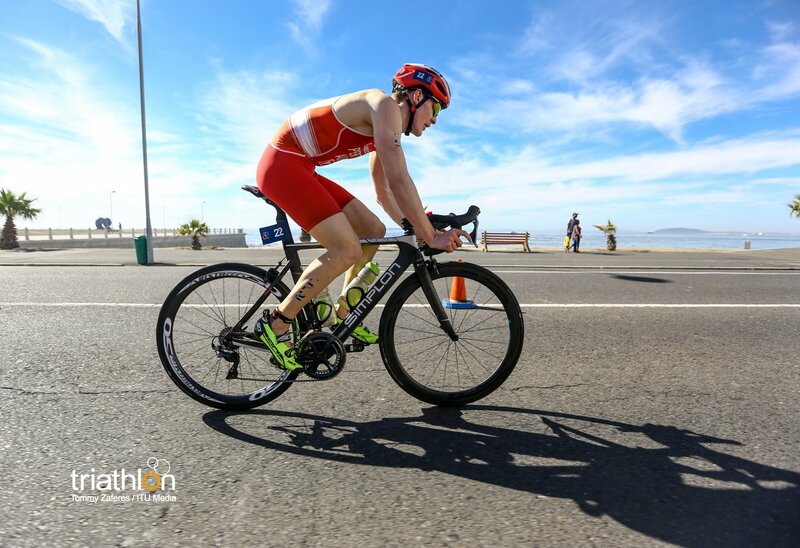 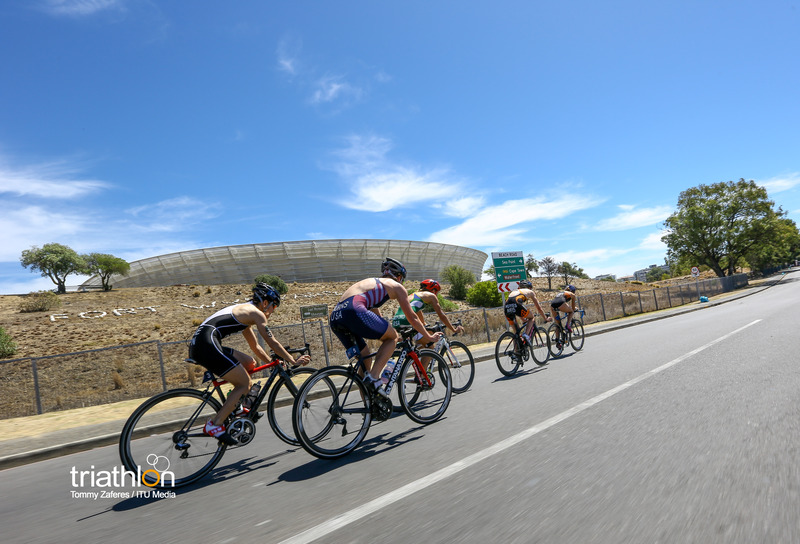 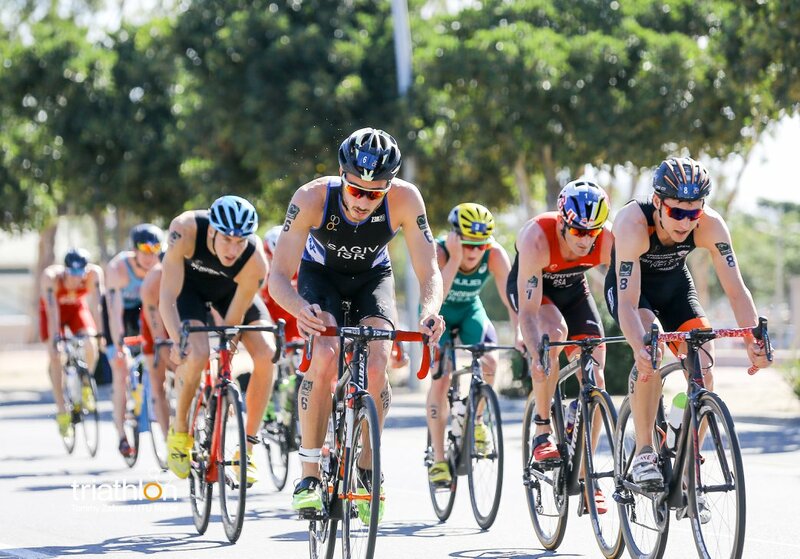 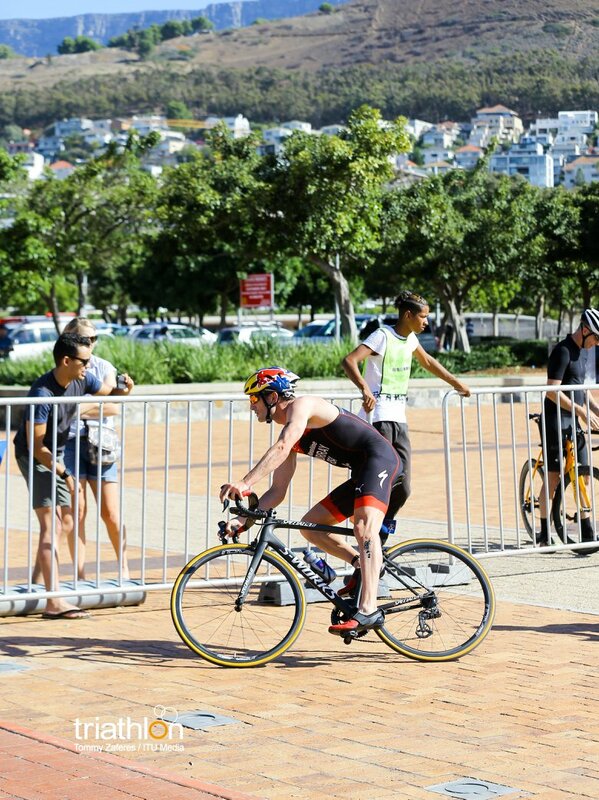 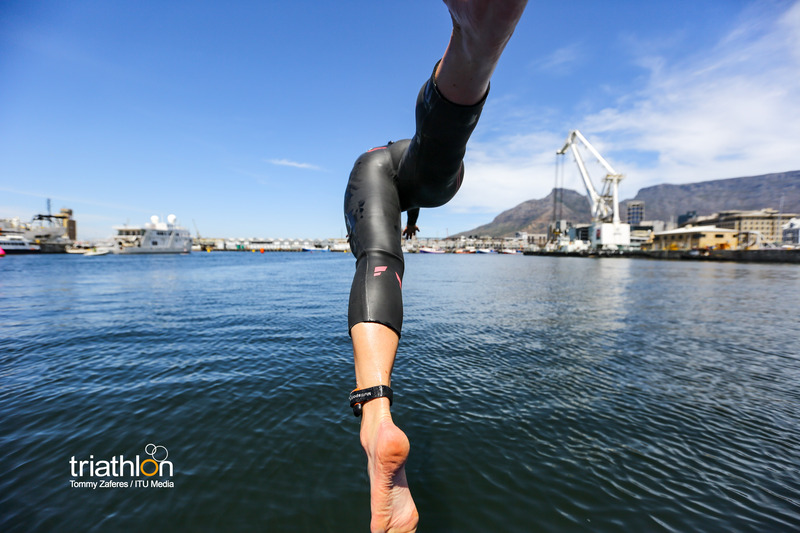 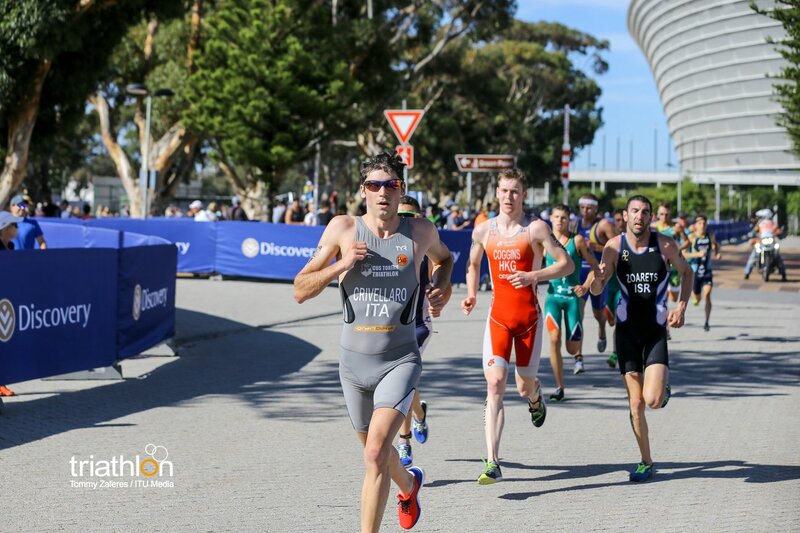 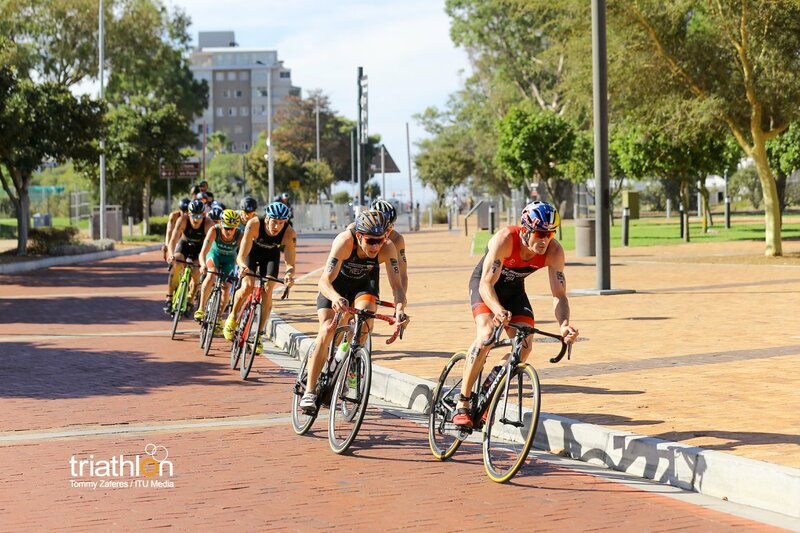 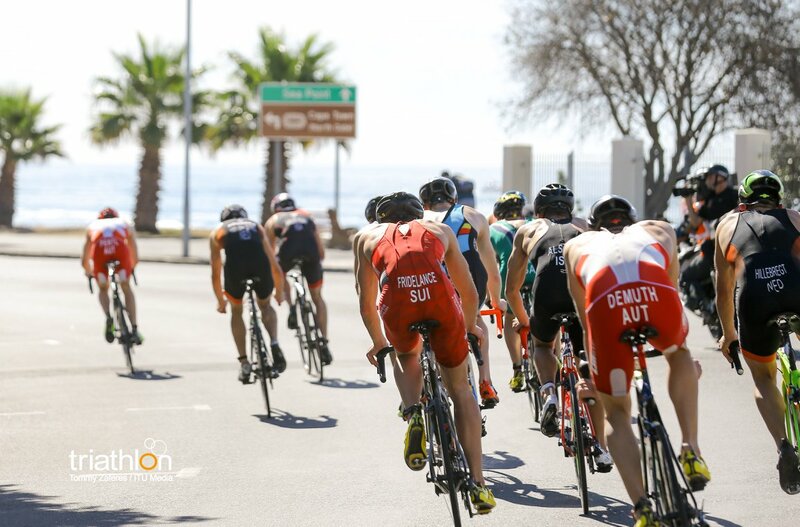 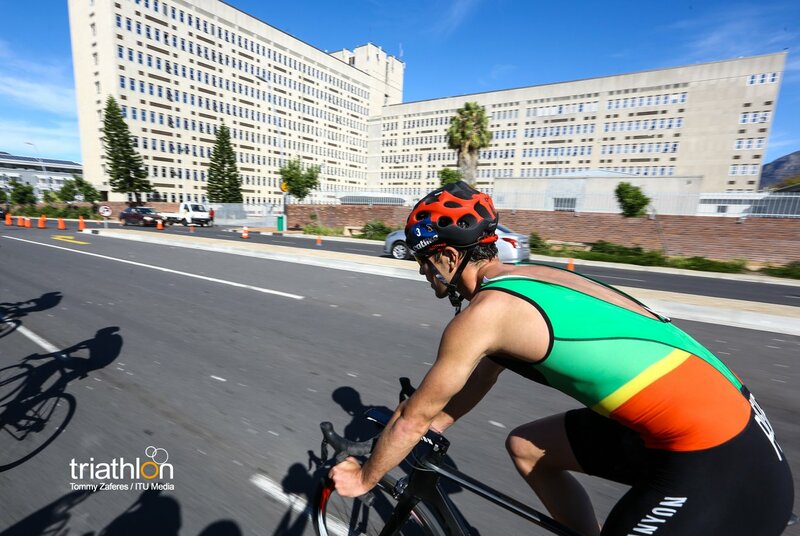 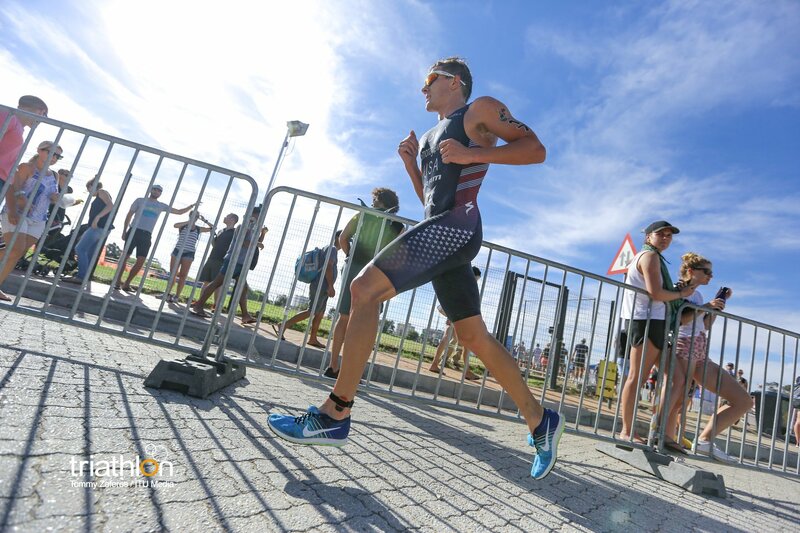 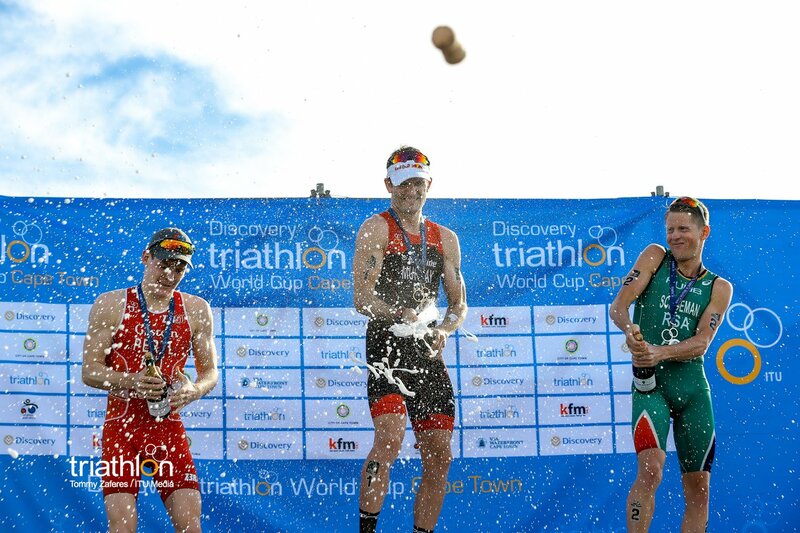 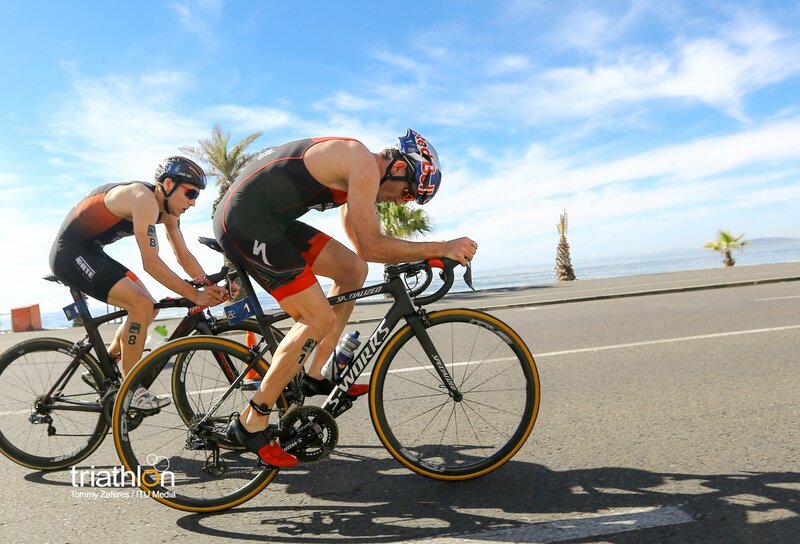 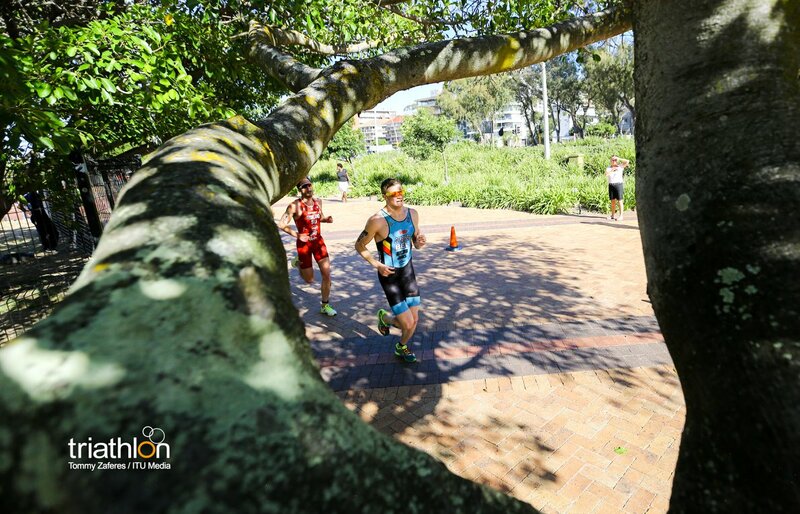 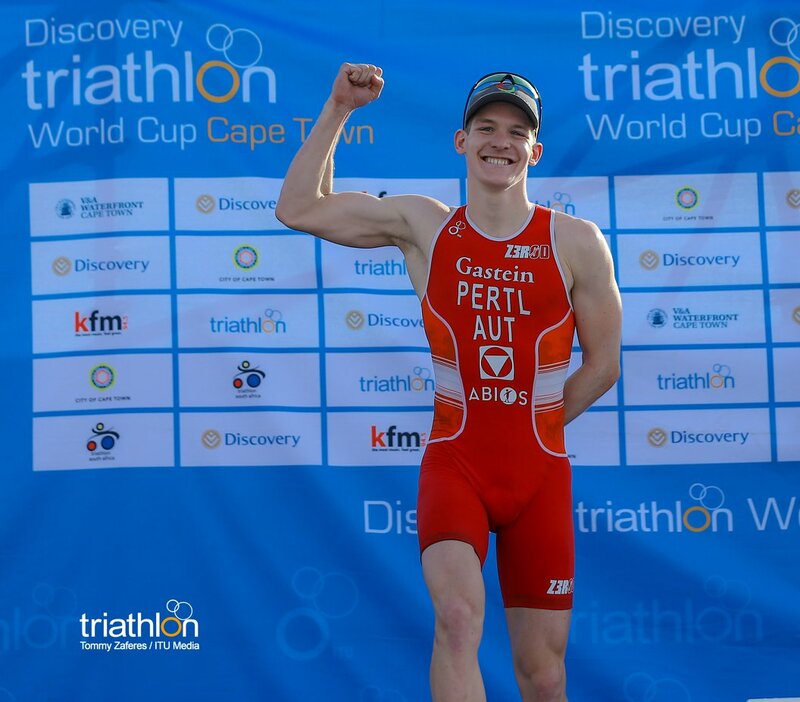 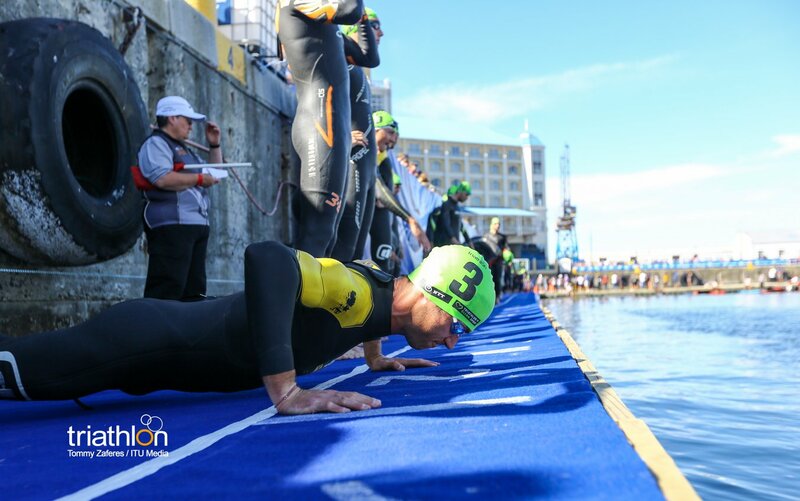 For the second time, the beautiful city of Cape Town will have the honour of hosting the first race of a new ITU World Cup season this weekend, with all of the athletes looking to make the strongest possible start to this year’s 17-stop worldwide tour. 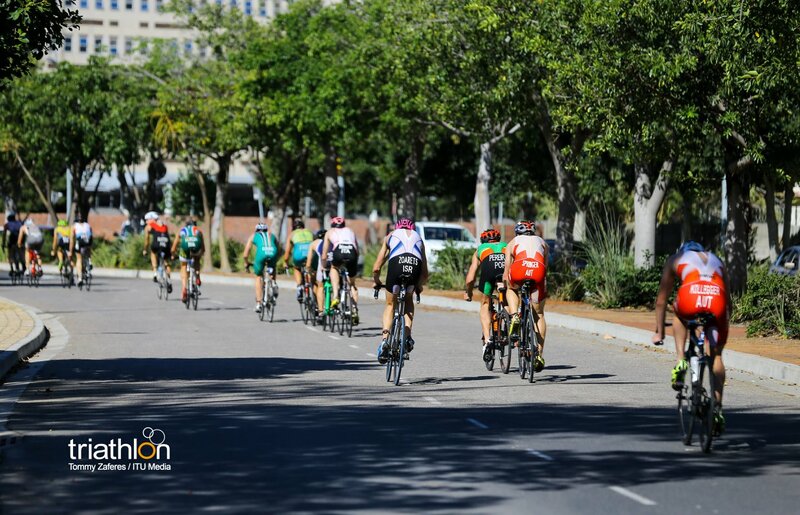 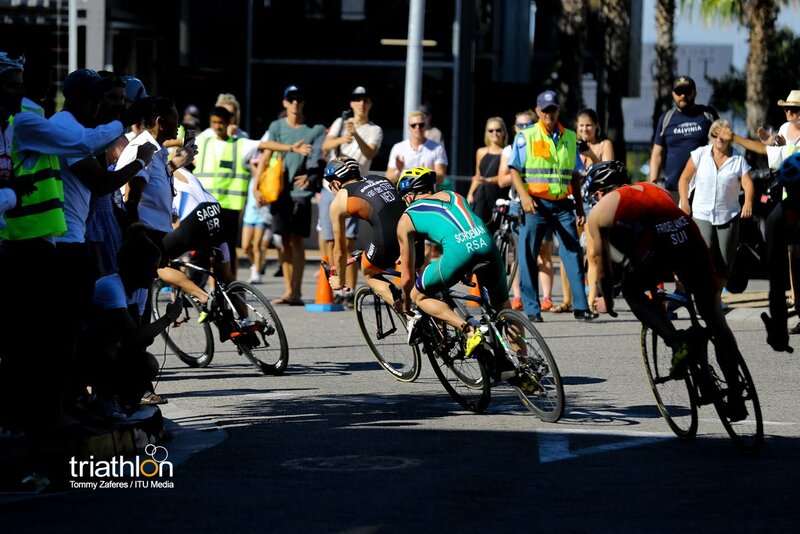 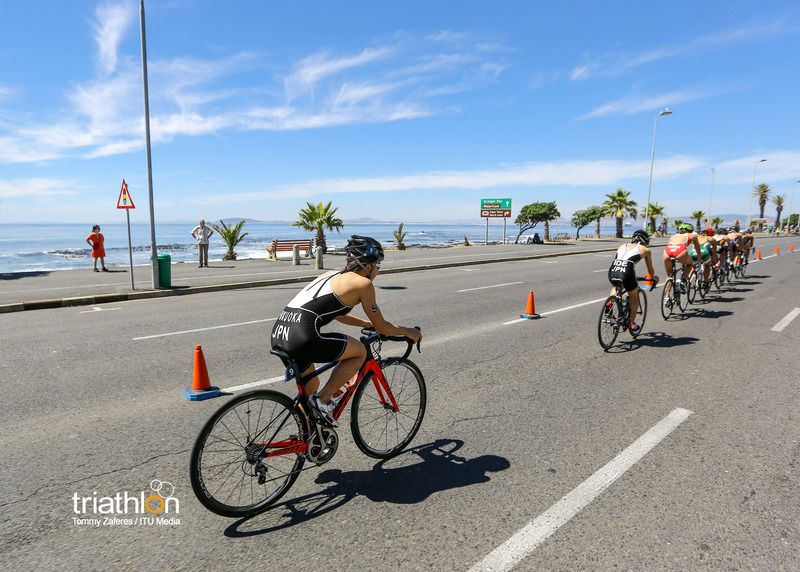 The city made its debut on the World Cup circuit last year in grand style, the iconic Table Mountain lending a dramatic backdrop to some superb sprint racing that saw the crowds cheer on their local heroes to remarkable success. 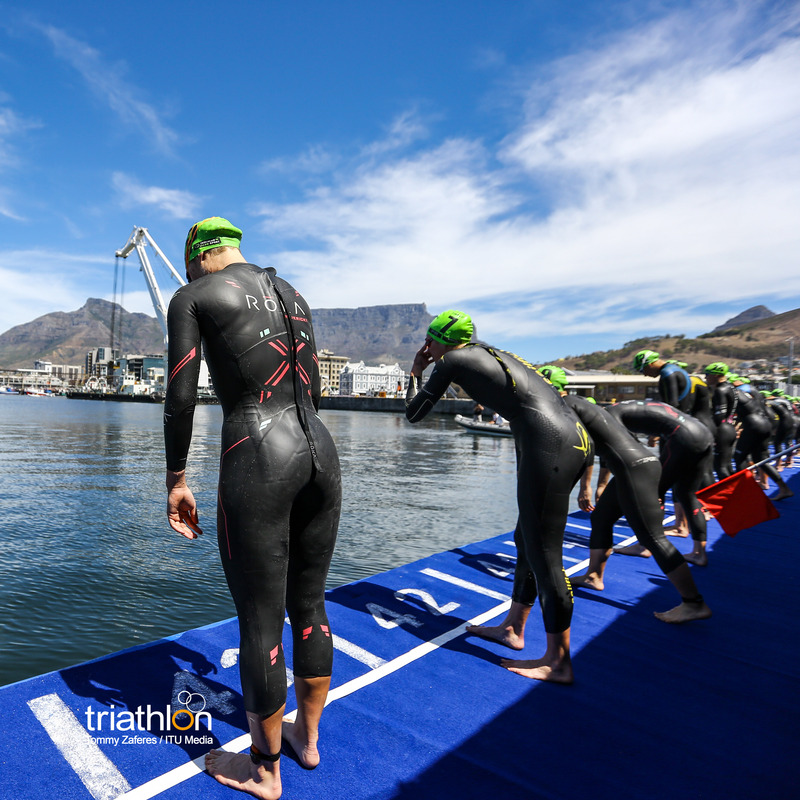 On Sunday afternoon, the athletes will come together for 2018’s eagerly awaited sprint opener. 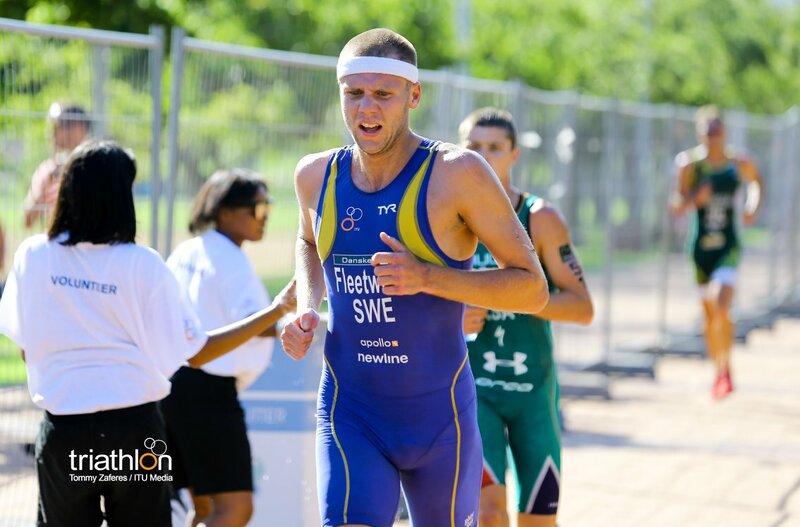 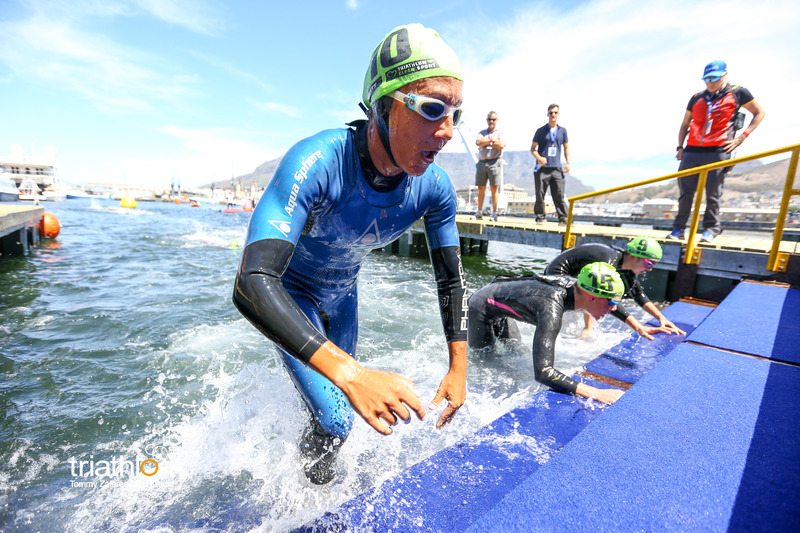 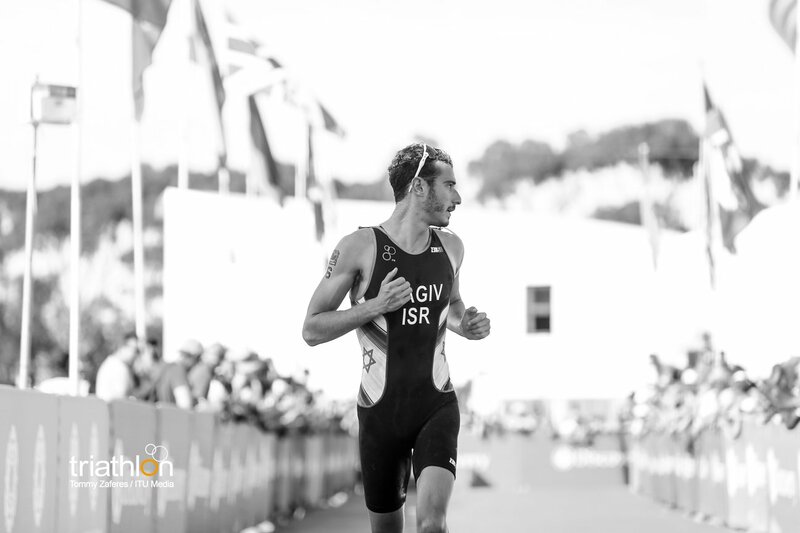 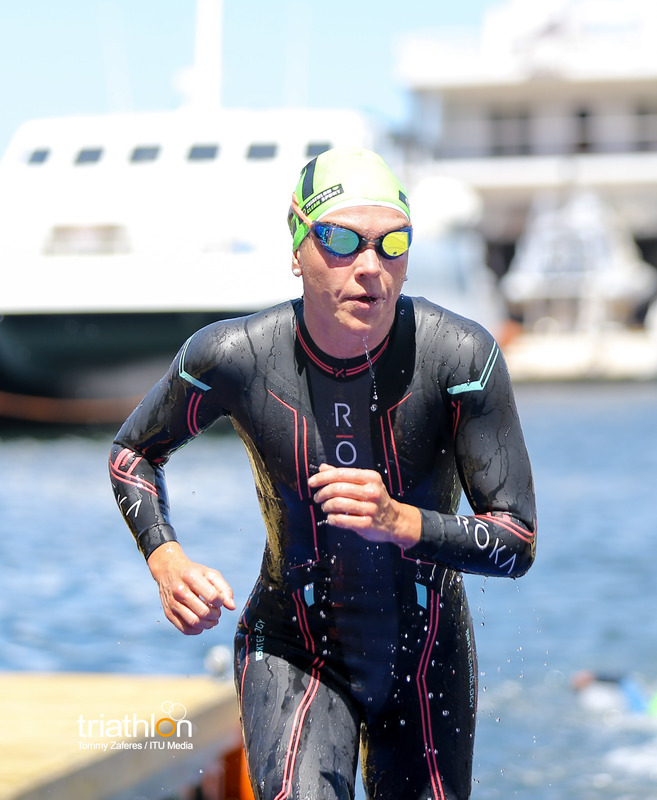 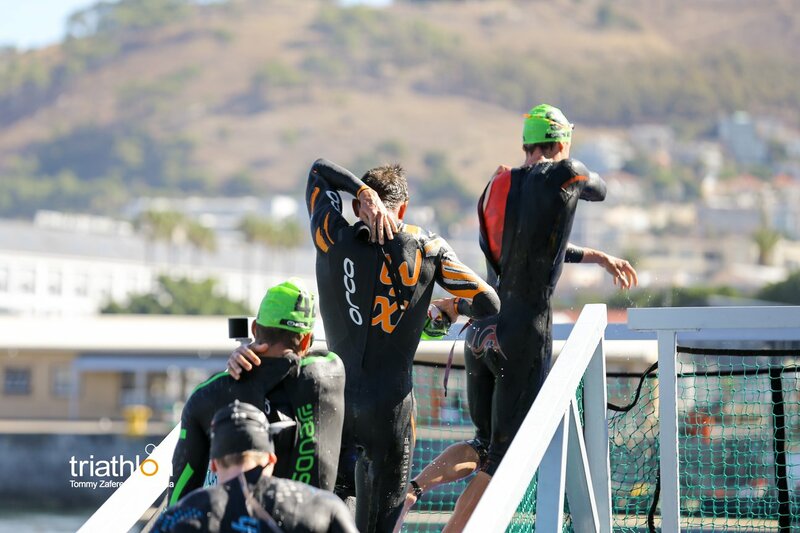 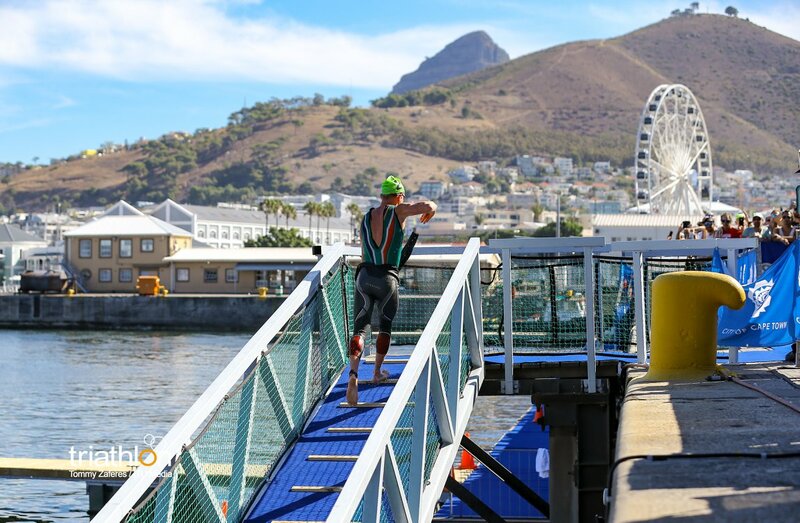 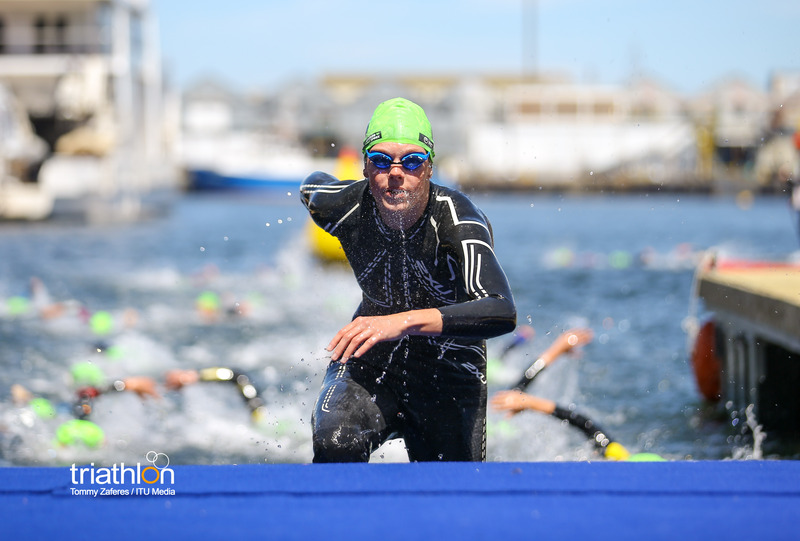 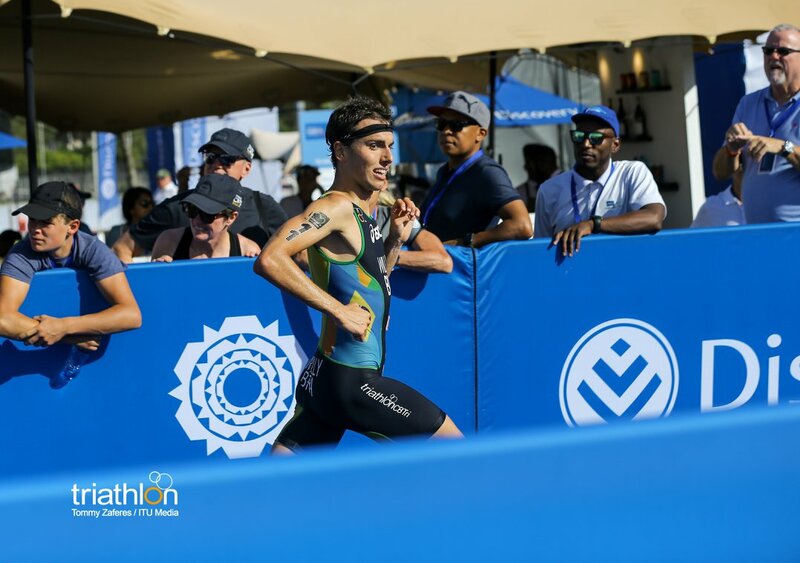 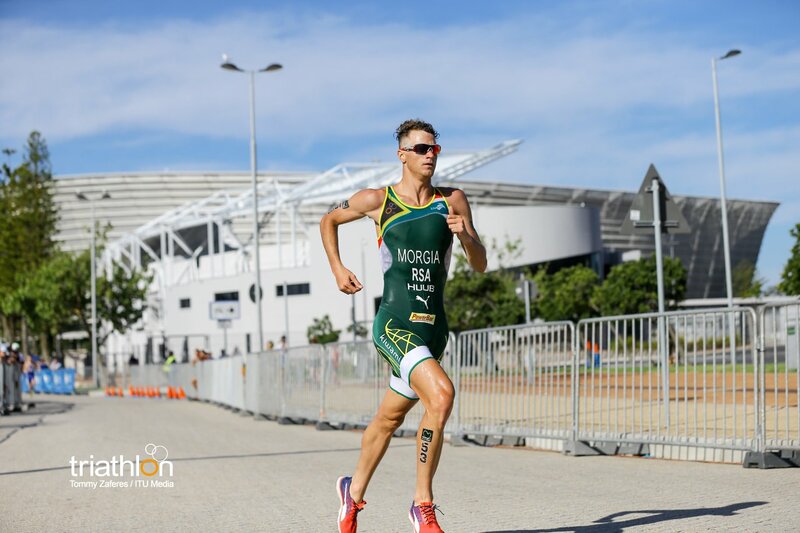 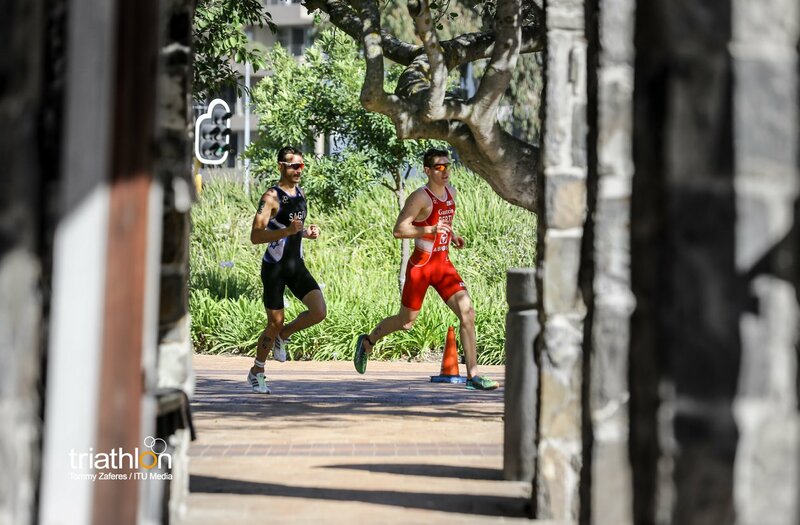 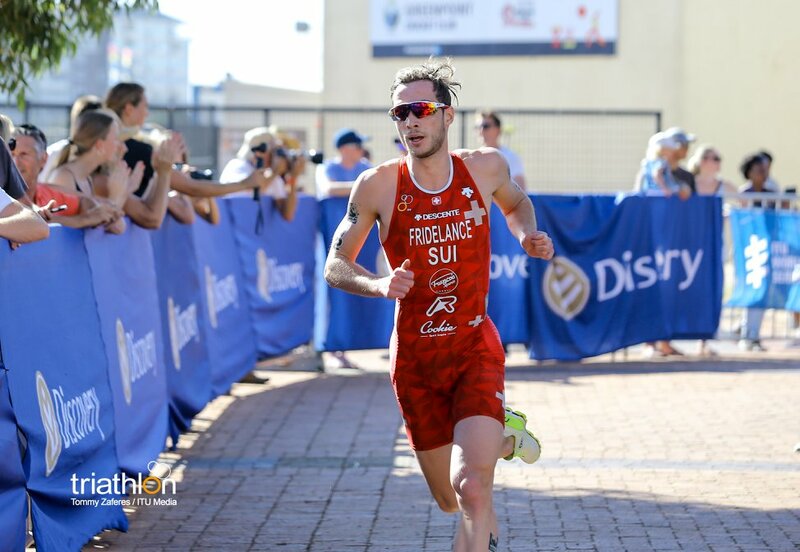 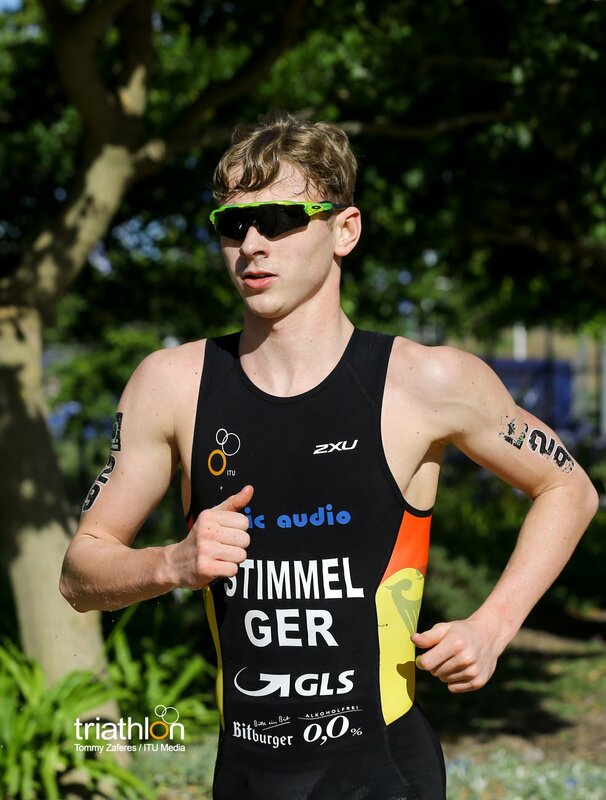 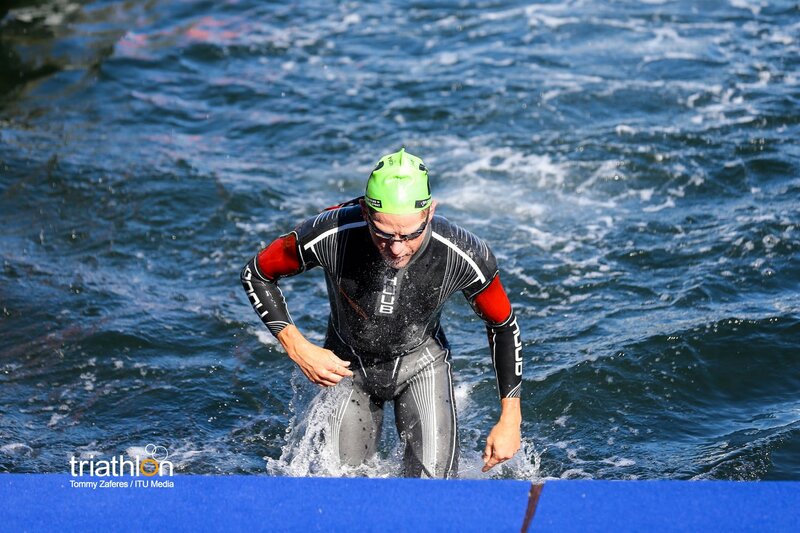 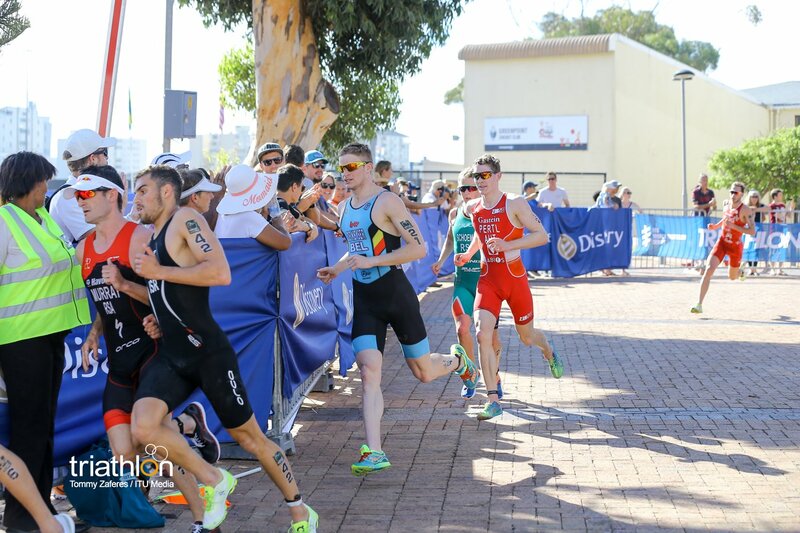 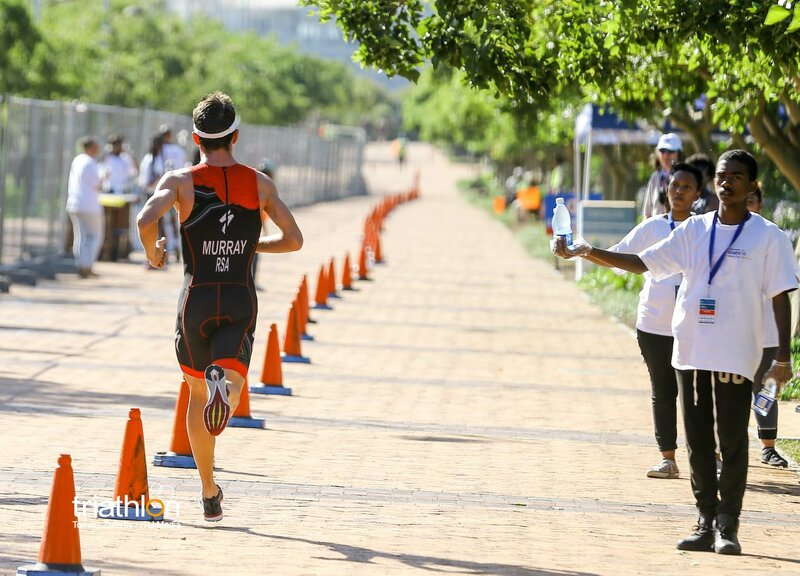 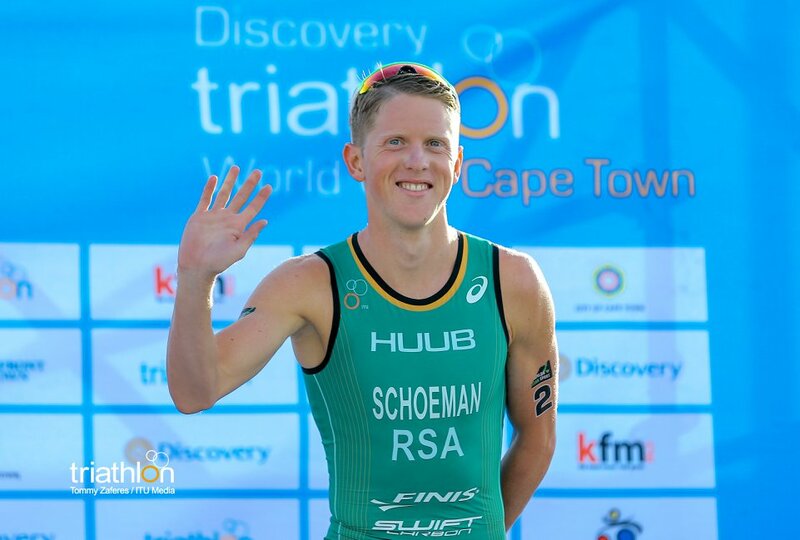 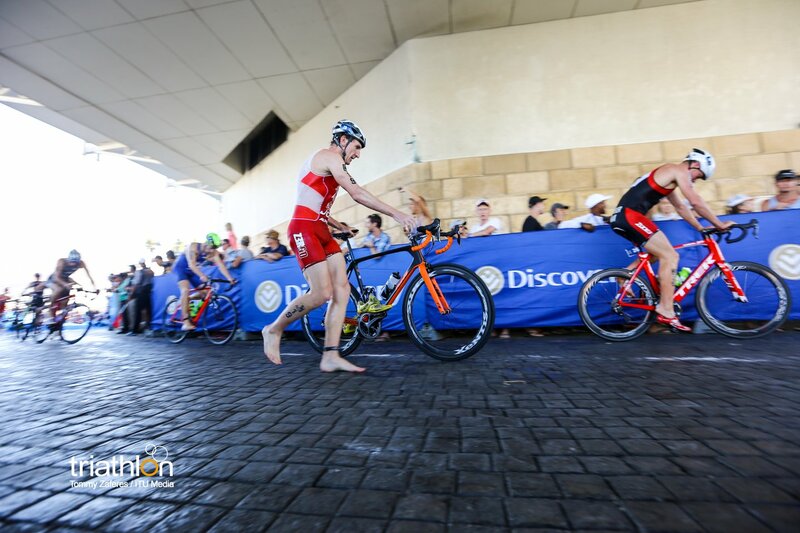 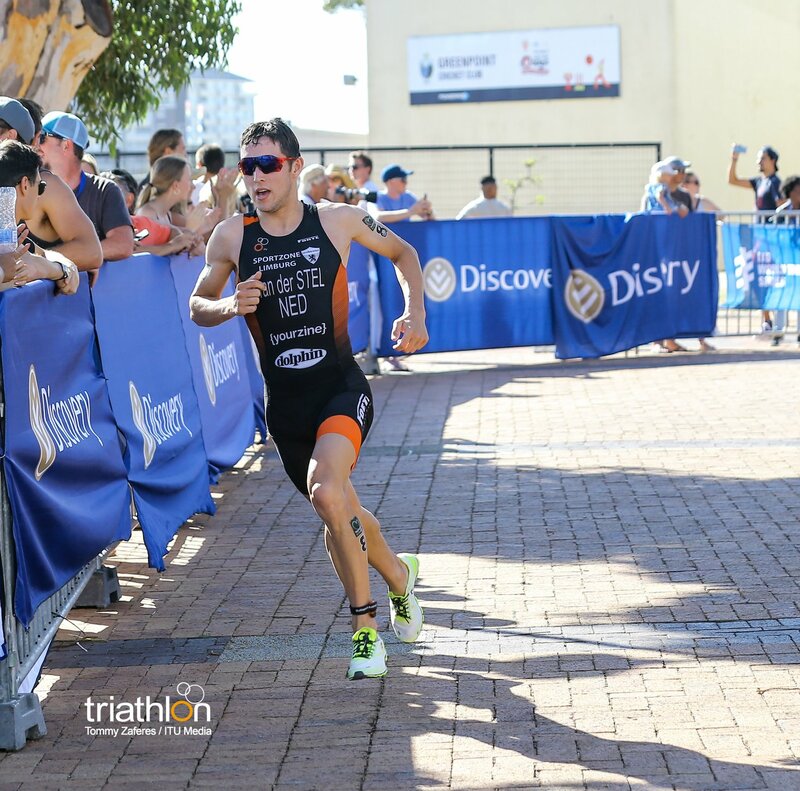 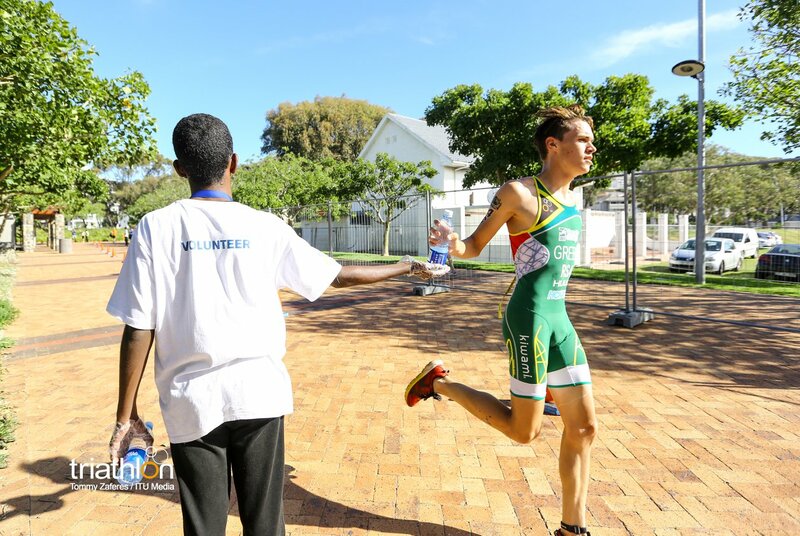 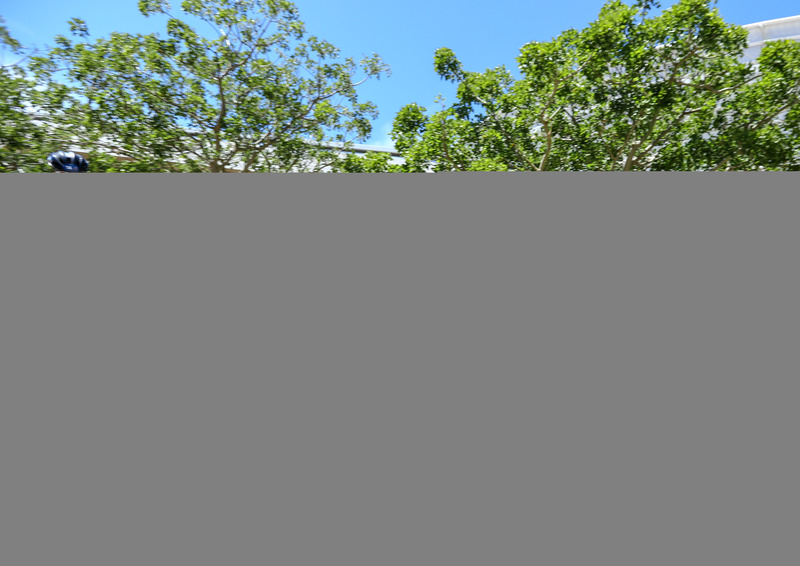 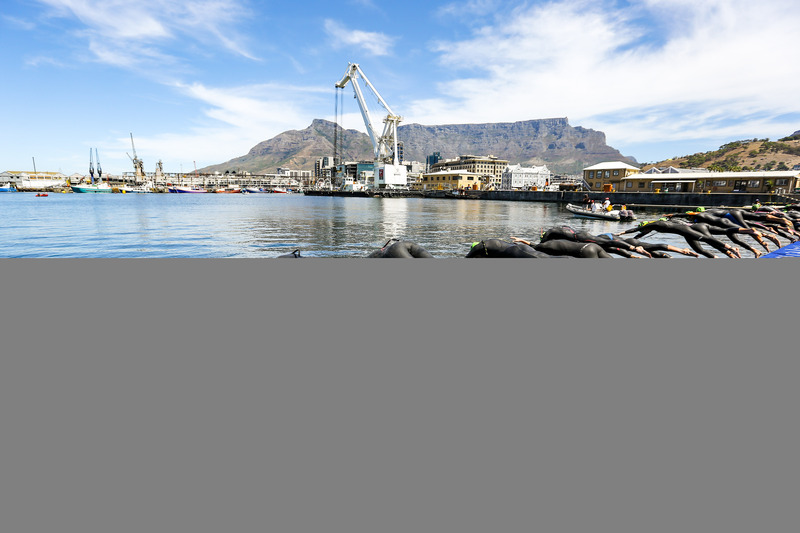 Indeed, it was a memorable one-two-three for the South African men on the waterfront here twelve months ago, and Richard Murray and Henri Schoeman will be looking to conjure up a repeat performance this time around. 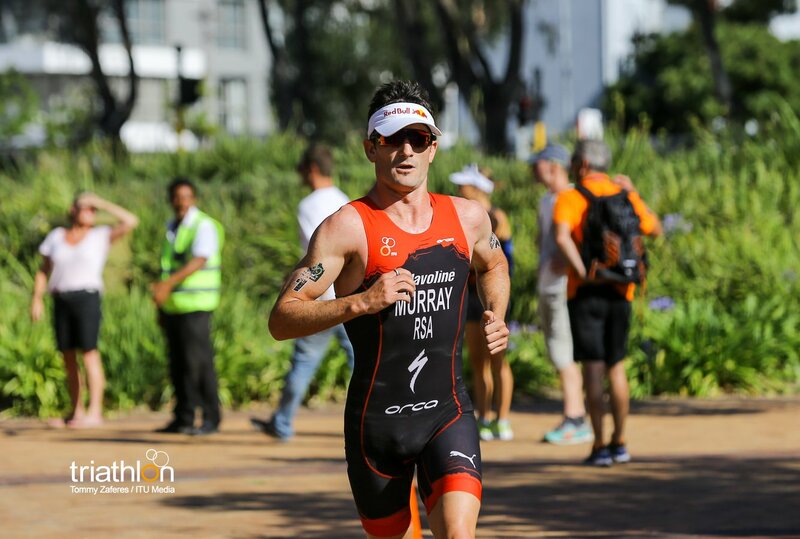 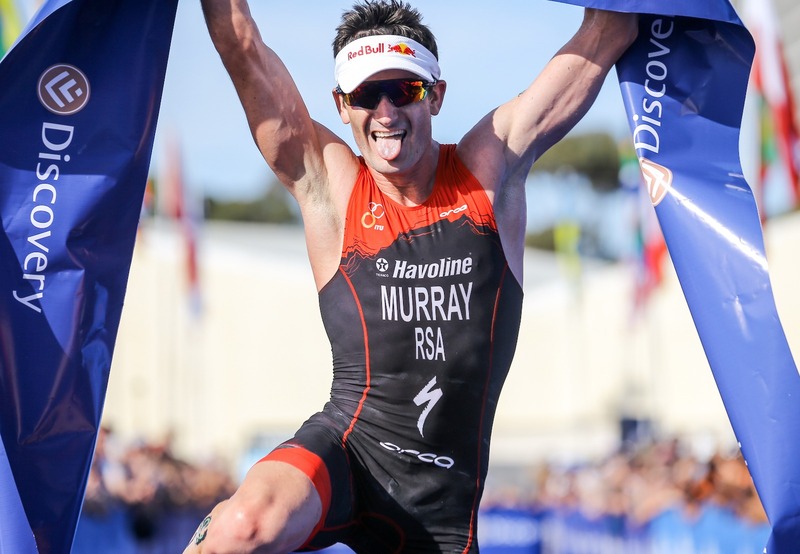 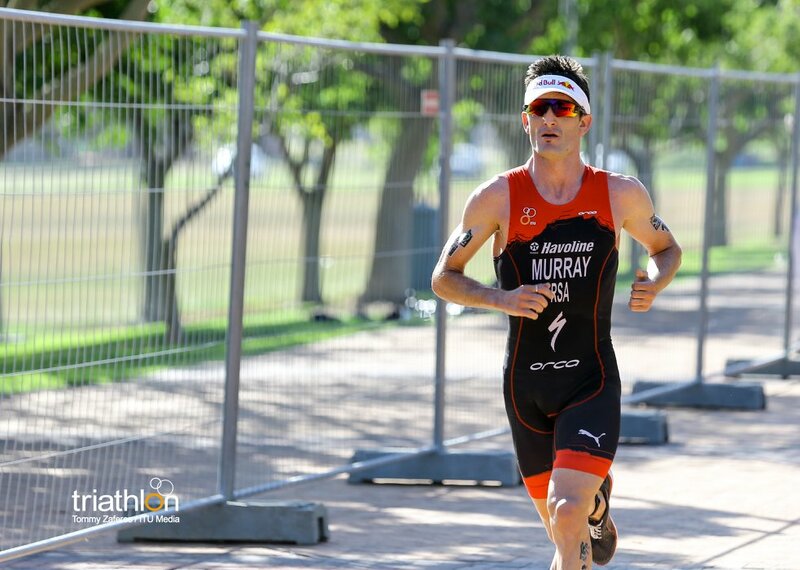 The win was one of six podium finishes last year for Murray, who managed to finish the season ranked 4th in the overall ranking, and he will once again spearhead another strong-looking South African team. 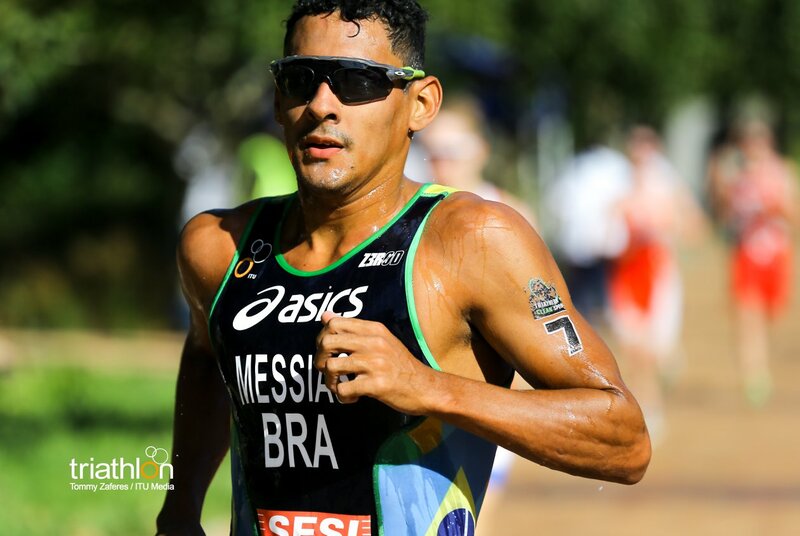 Finishing the race in fifth and sixth respectively in 2017, Austrian duo Lukas Pertl and Lukas Hollaus will be hoping that they can again work effectively together and reap the rewards on the fast and furious sprint course, but Manoel Messias, the man who scored Brazil’s first-ever Junior World title back in 2015, will also be backing himself to make a significant impact on the leaderboard. 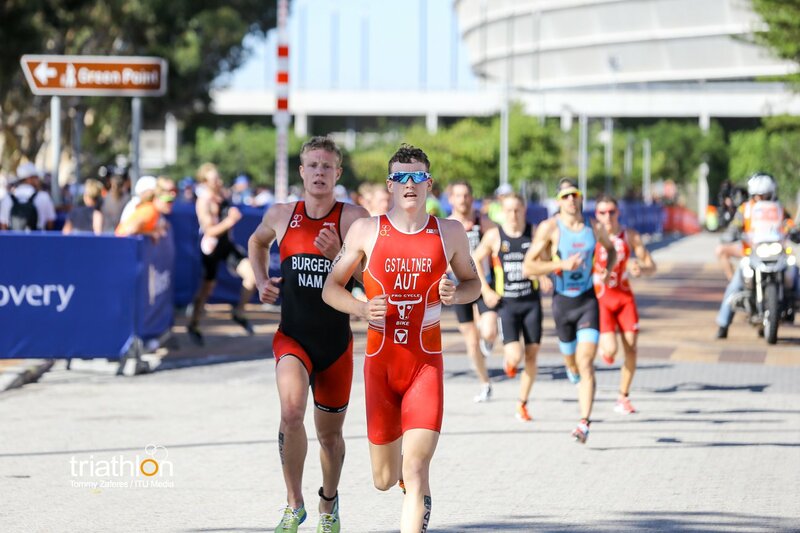 After closing out 2017 strongly, Spain’s Roberto Sanchez and Germany’s Jonas Schomburg will both be eyeing their first World Cup podium finish, and Portugal’s Joao Pereira and Luxembourg’s Stefan Zachaus are likely to be among the ones to watch in what is another fiercely competitive field. 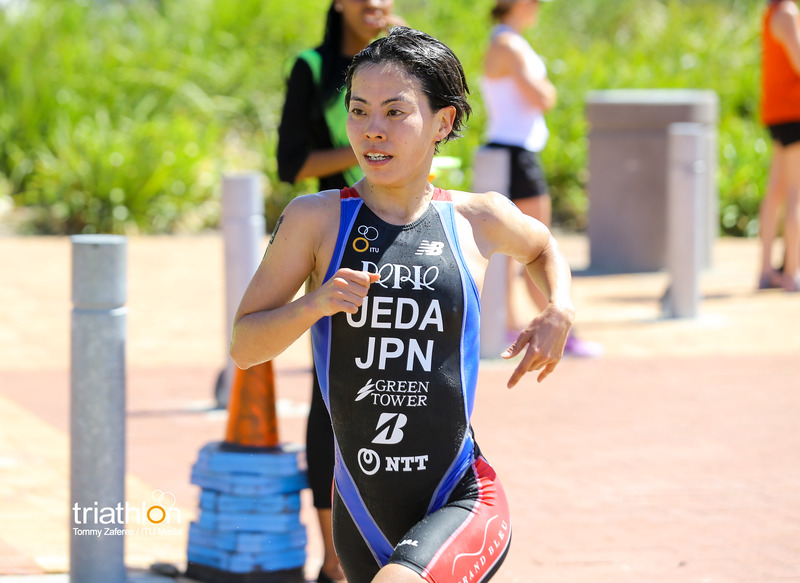 With Japan’s Ai Ueda and Netherlands’ Rachel Klamer the only top-five finishers from last season to make this weekend’s starting line-up, the opportunity is there for the likes of GB’s Non Stanford and Vicky Holland or the USA’s talented Chelsea Burns to get 2018 off to a winning start. 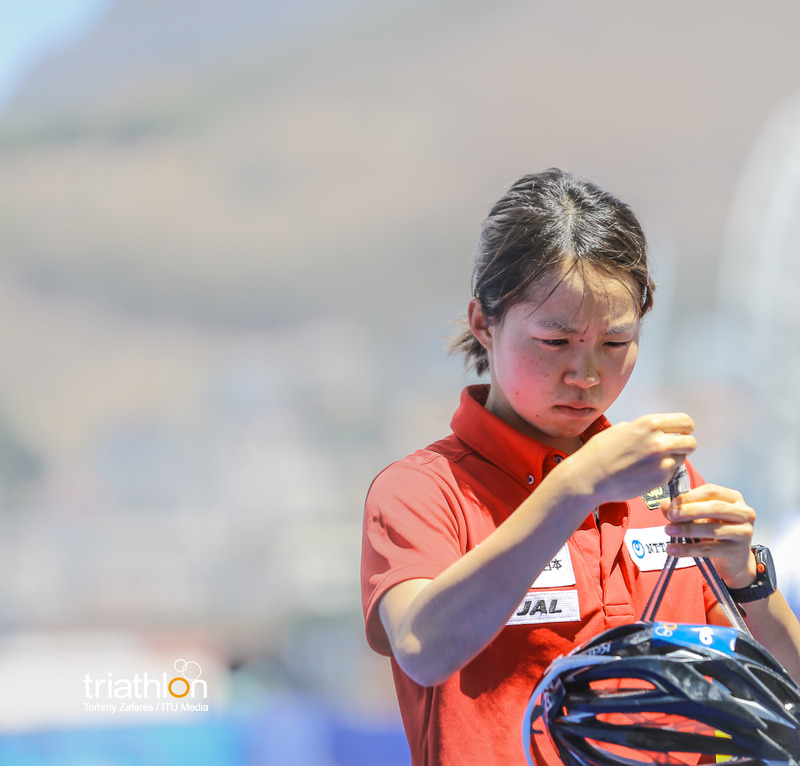 Ueda’s experience could once again prove invaluable over the bike and run sections, and if she can work up a strong partnership with compatriot Juri Ide, the Japanese team has the potential to make a major impact on the podium. 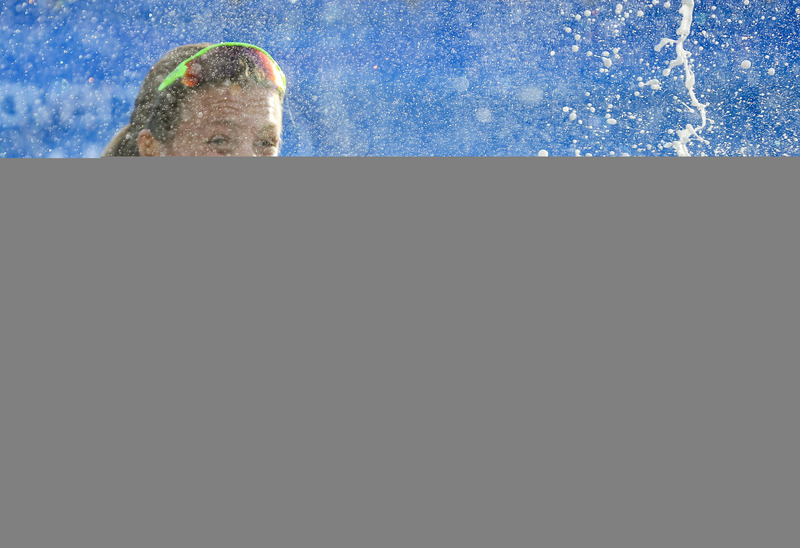 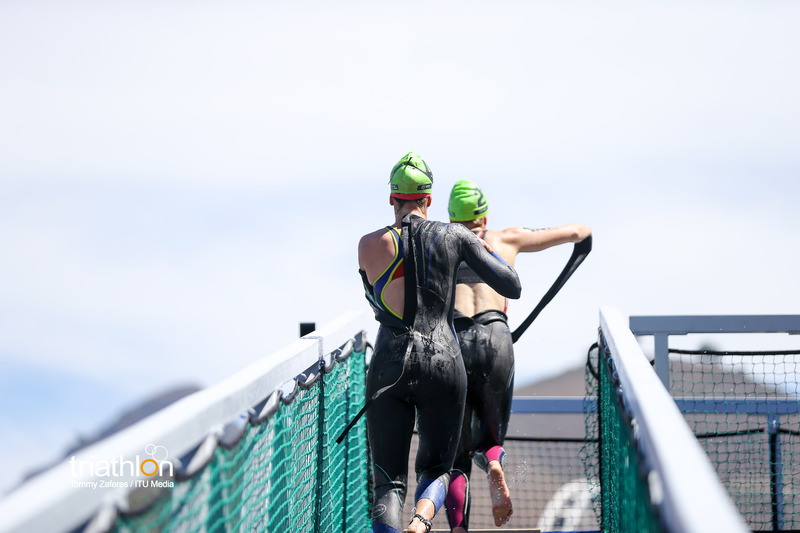 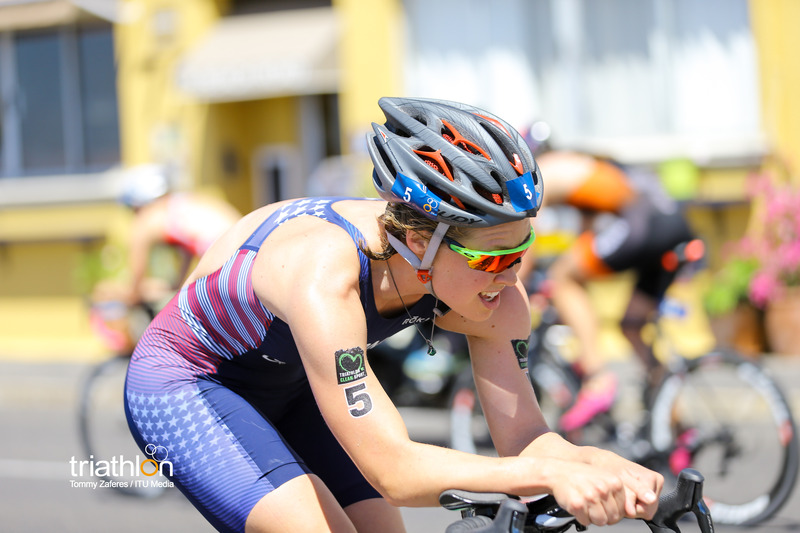 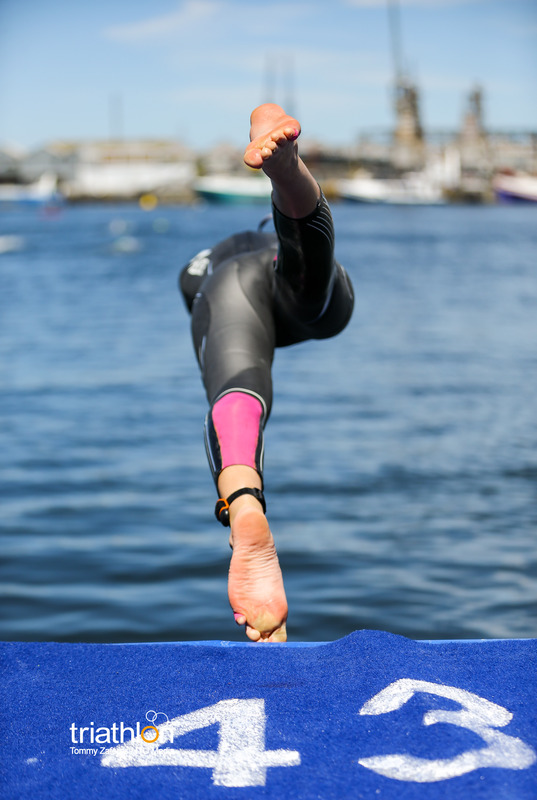 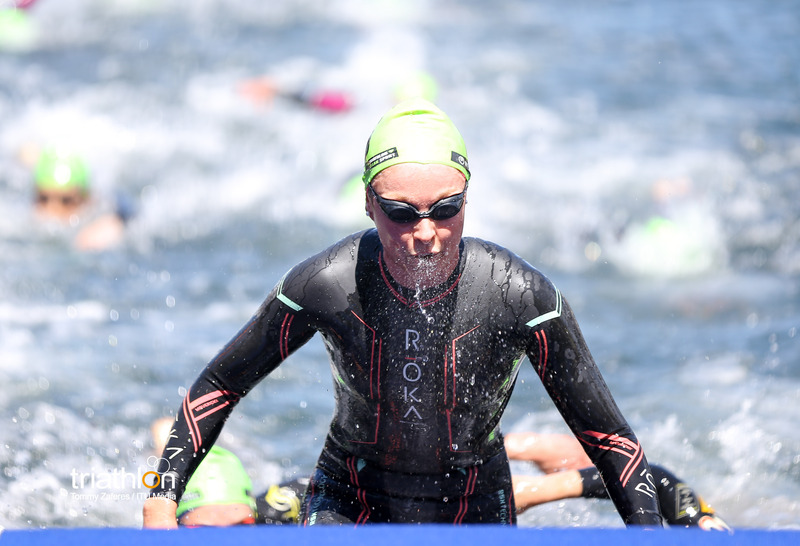 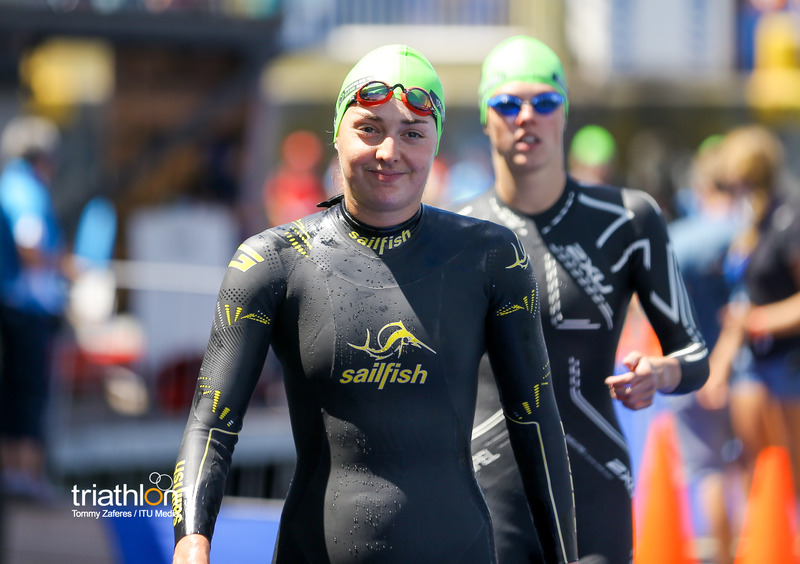 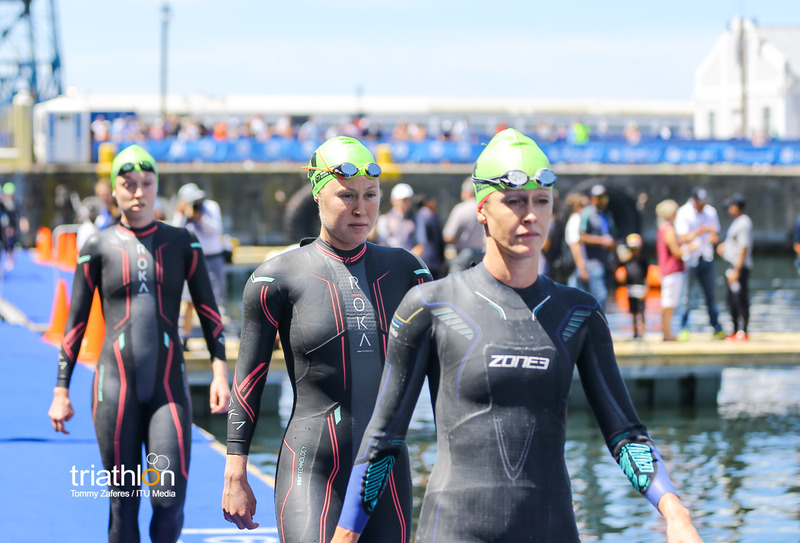 Julia Hauser, ninth here last year, will be one of five Austrians on the starting line, with teammates Lisa Perterer and Sara Vilic always a potent duo if they can emerge from the water among the leaders. 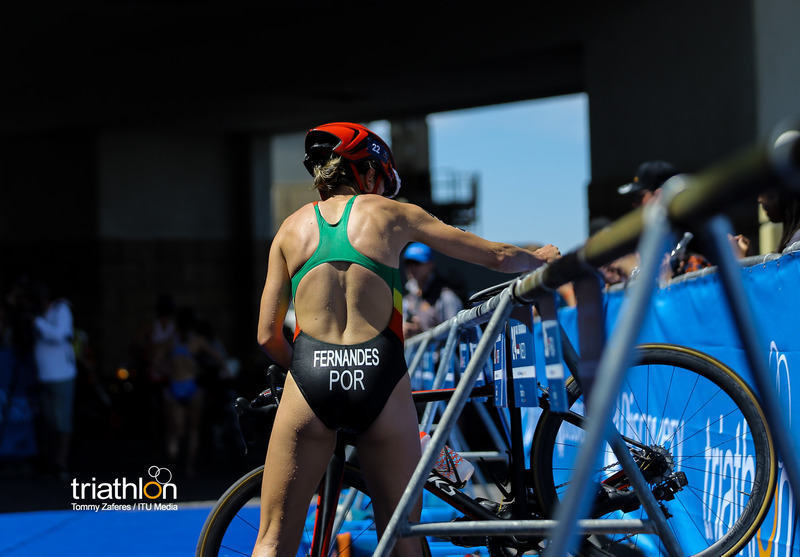 It will also be great to watch back in the blue carpet one of the legends of the elite pack: Portuguese Vanessa Fernandes, silver in Beijing 2008 Olympic Games and now back in competition. 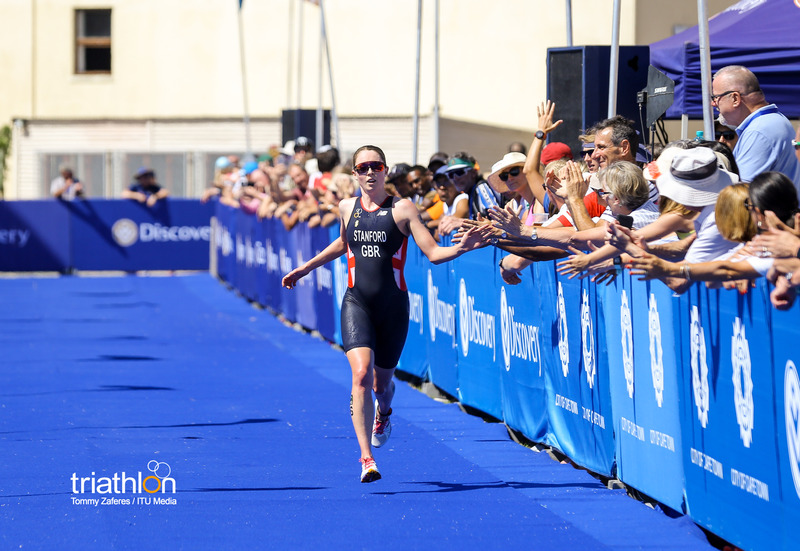 For the hosts, Gillian Sanders will be looking to get the crowd on their feet along with the top-placed South African 12 months ago, Anel Radford. 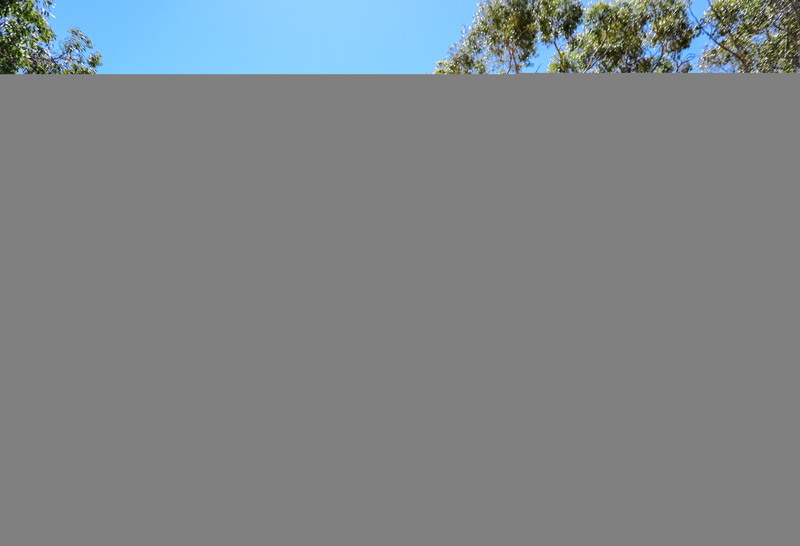 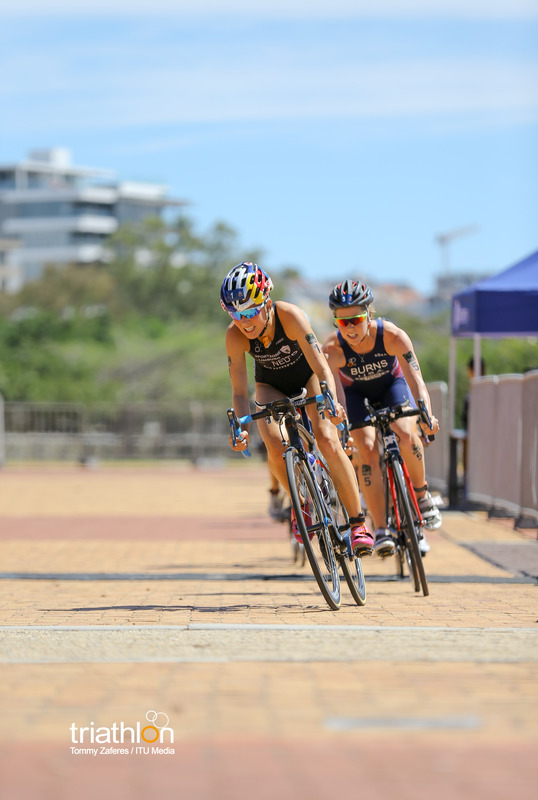 With those two seeeking to take the race by the scruff of its neck, their younger teammates Ashleigh Irvine-Smith and Amber Schlebusch, both born in 2001, will be making their World Cup debuts on home turf. 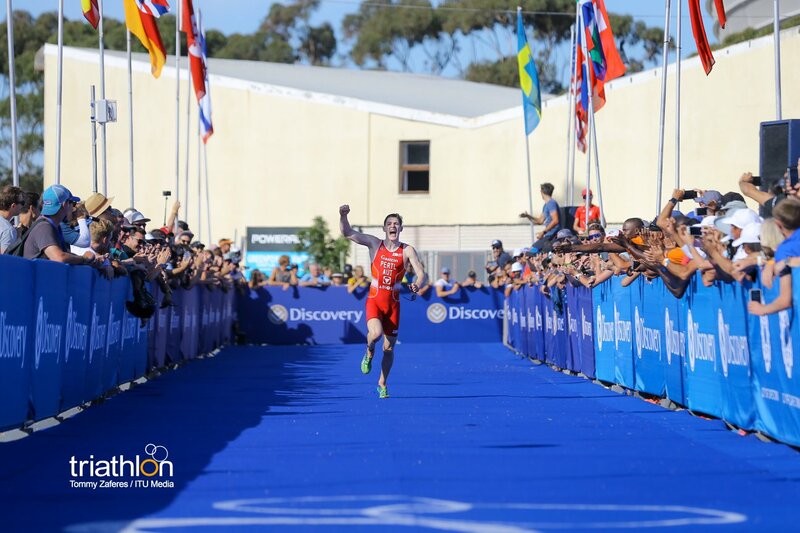 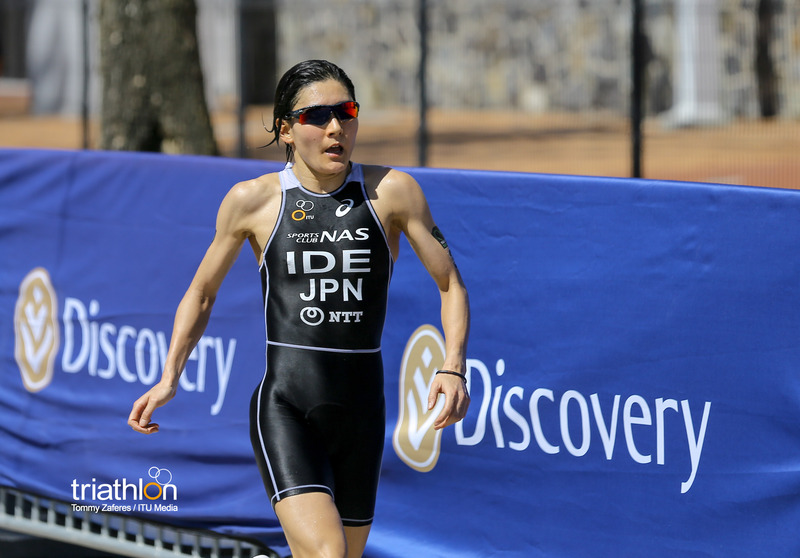 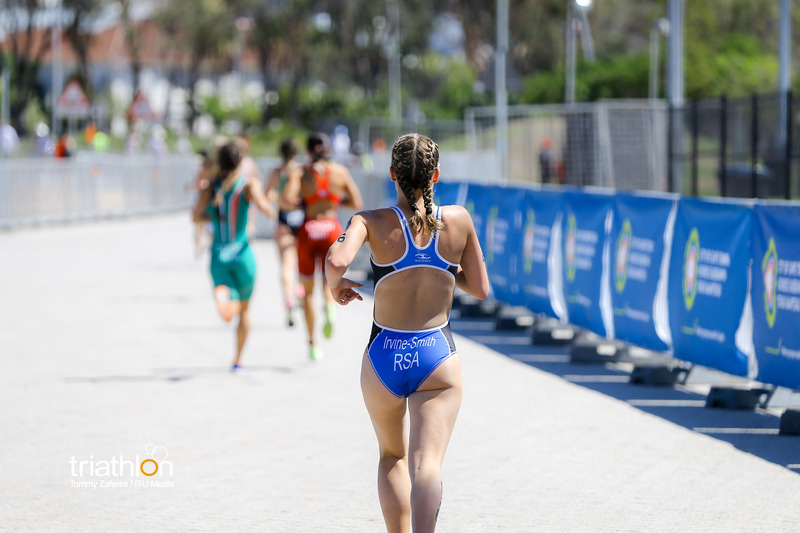 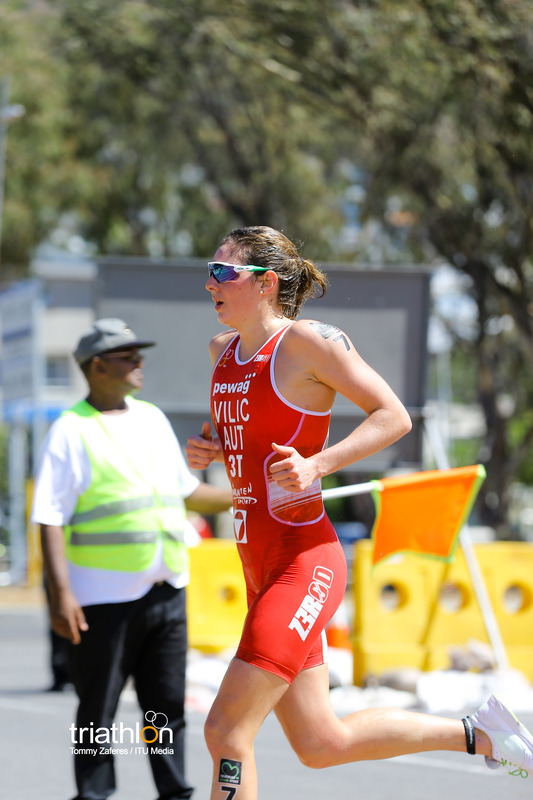 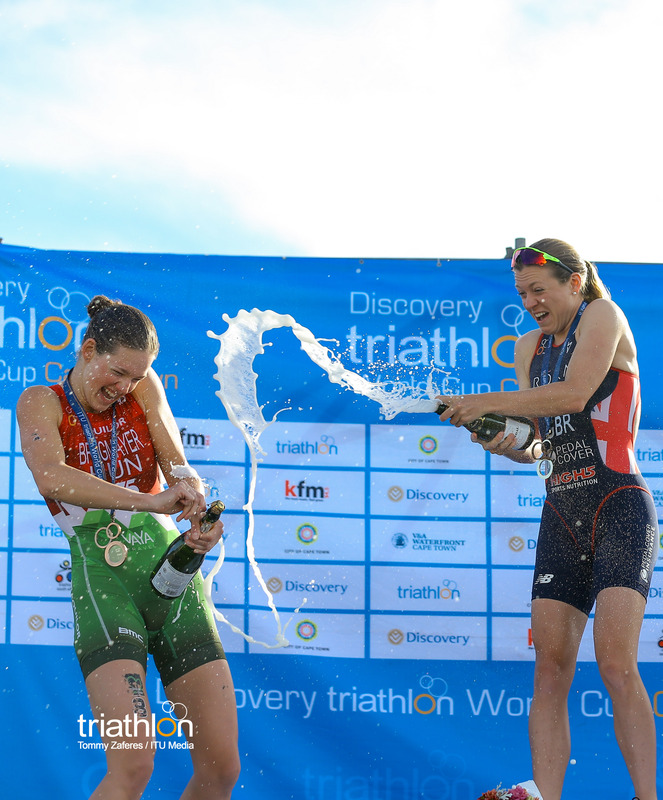 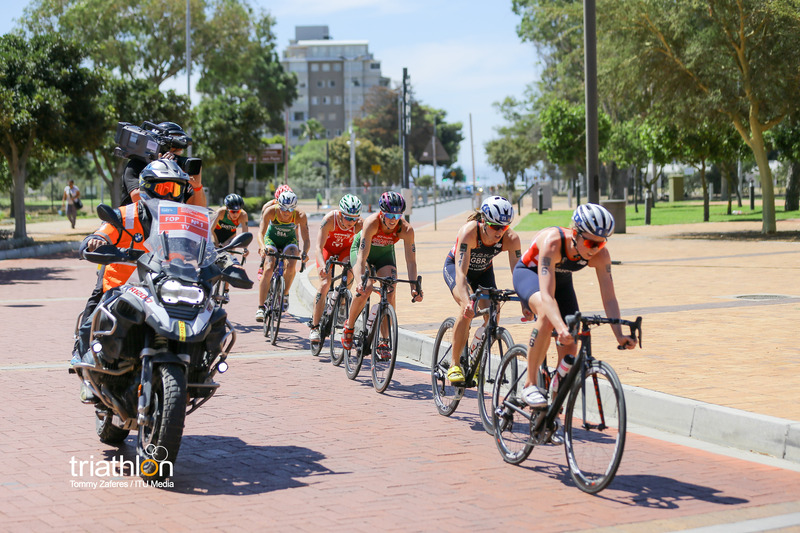 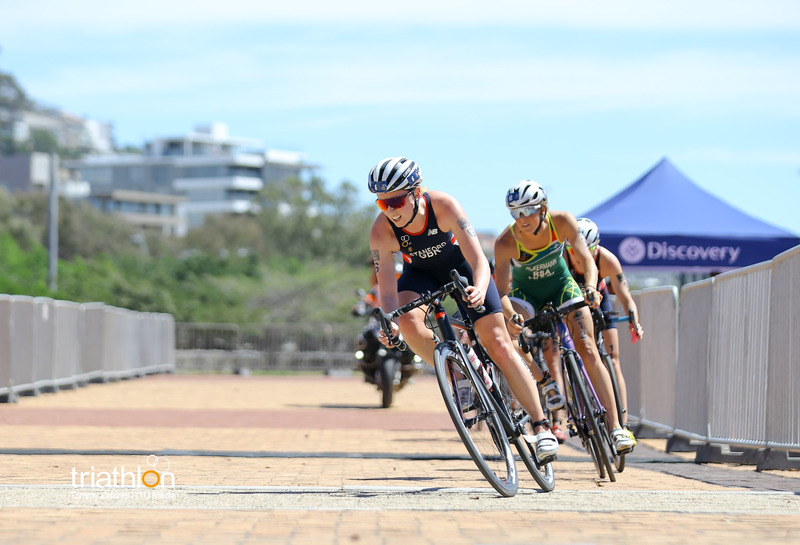 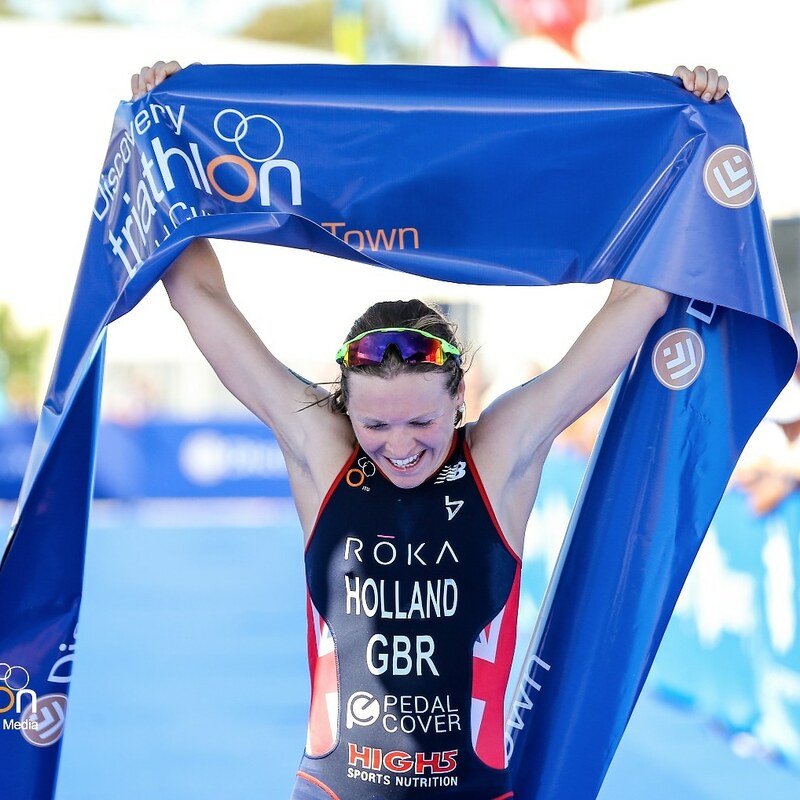 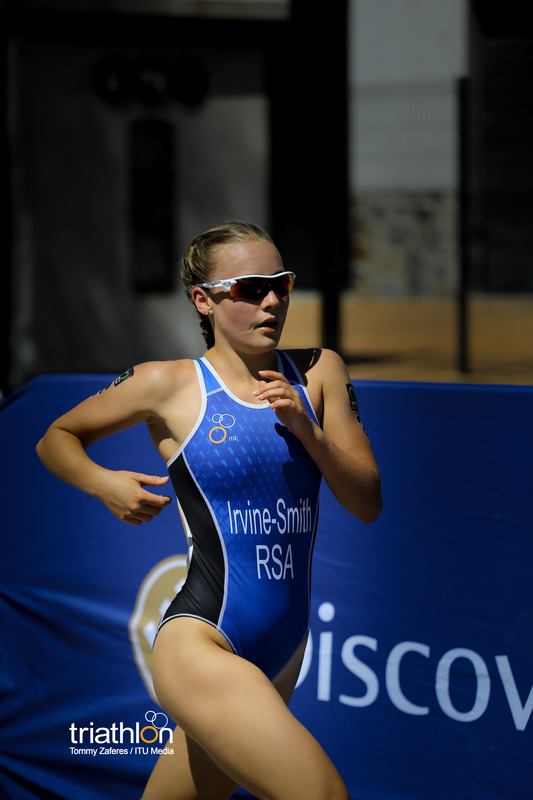 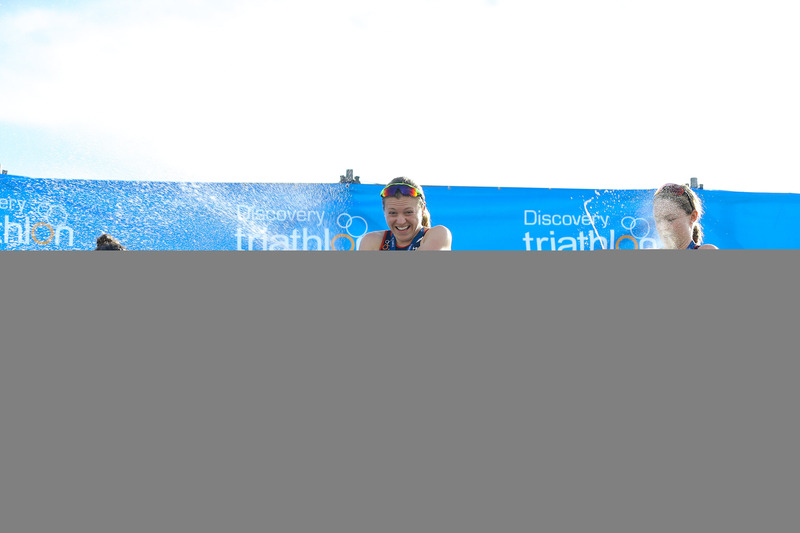 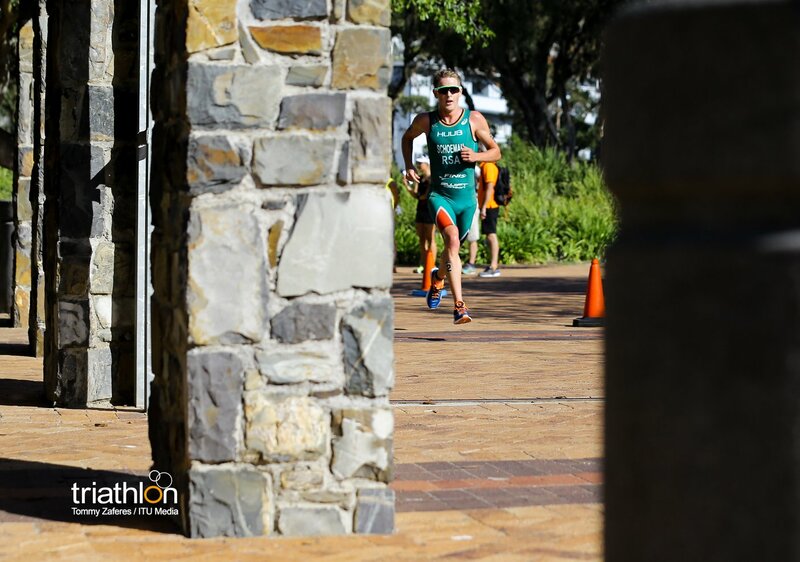 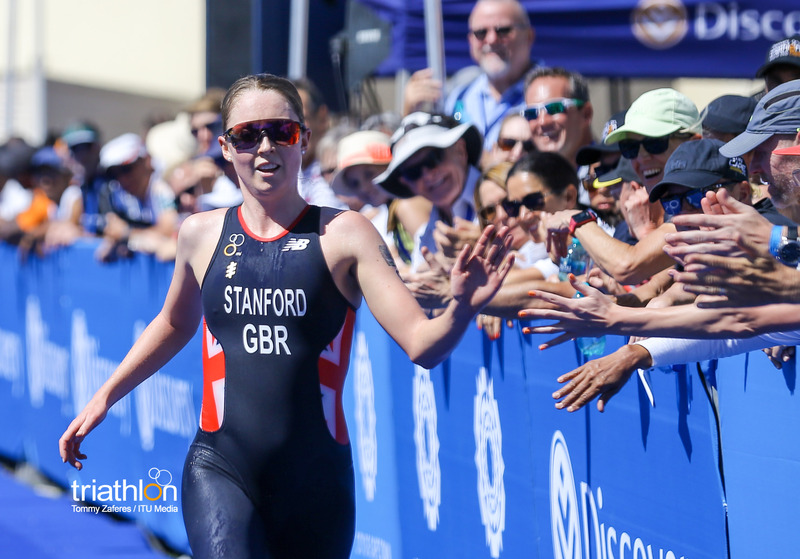 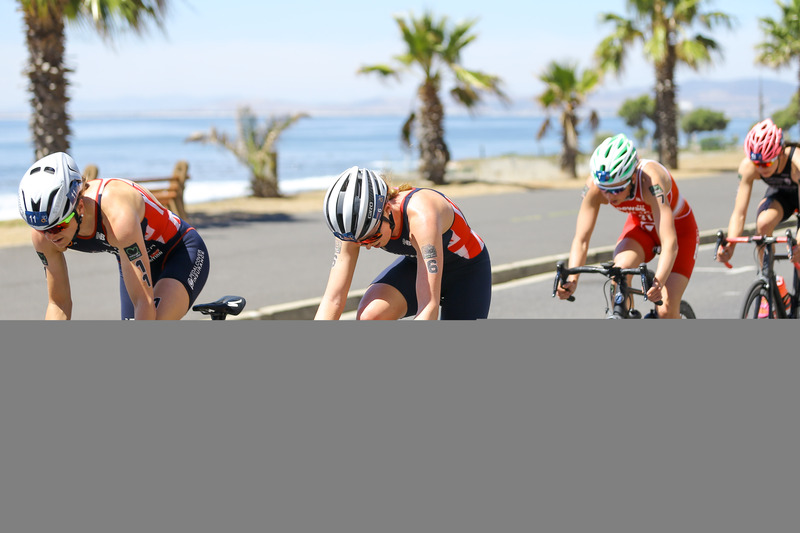 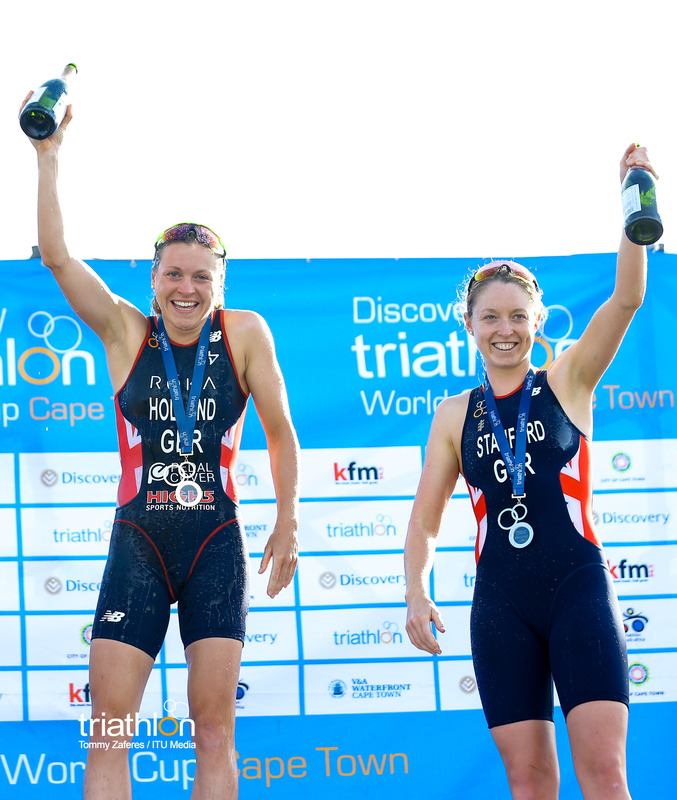 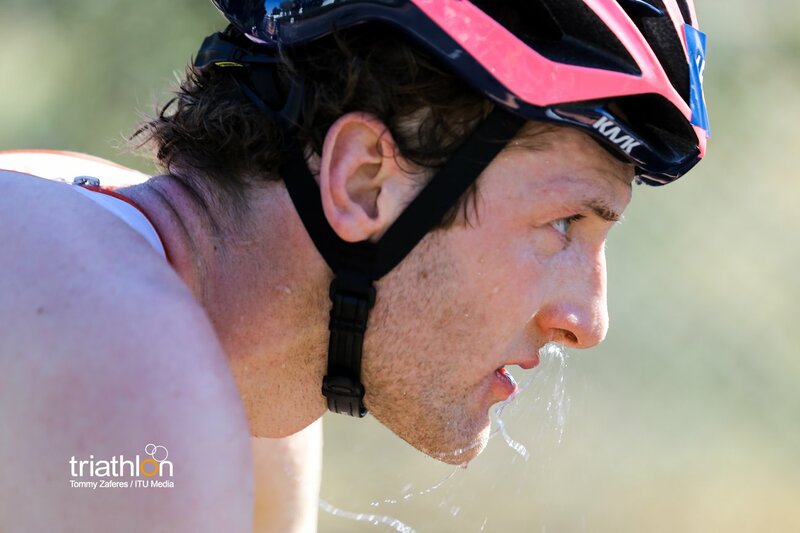 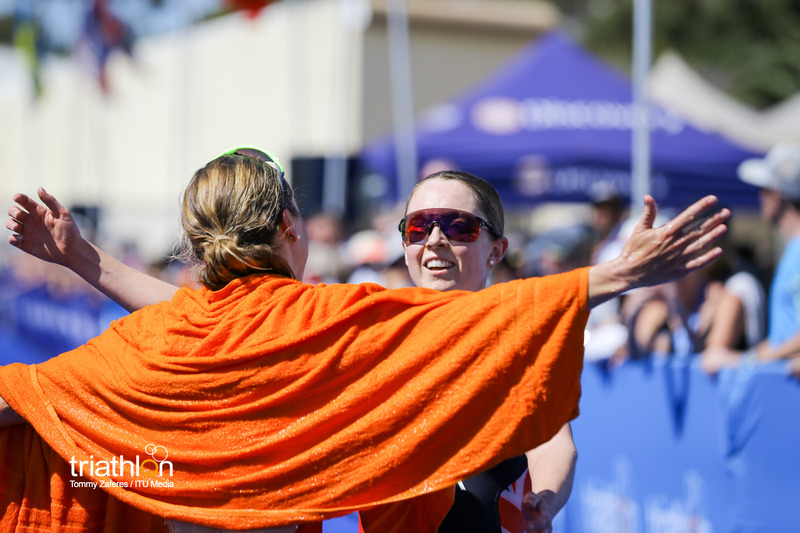 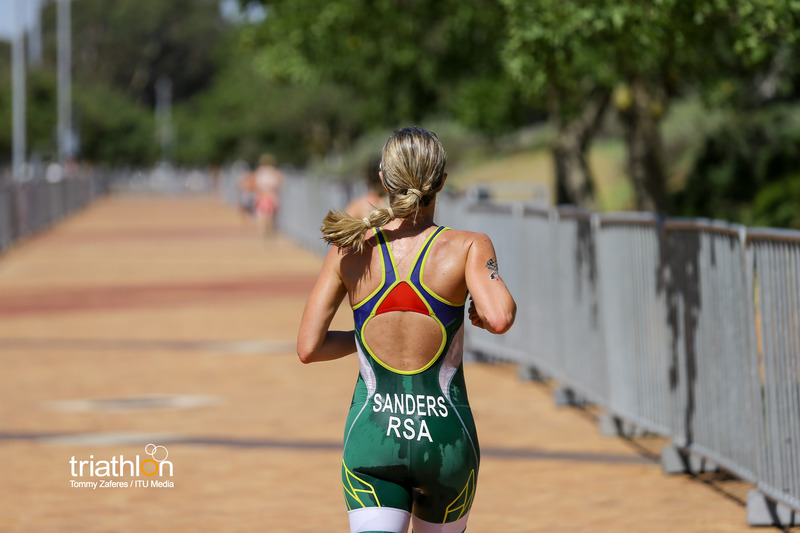 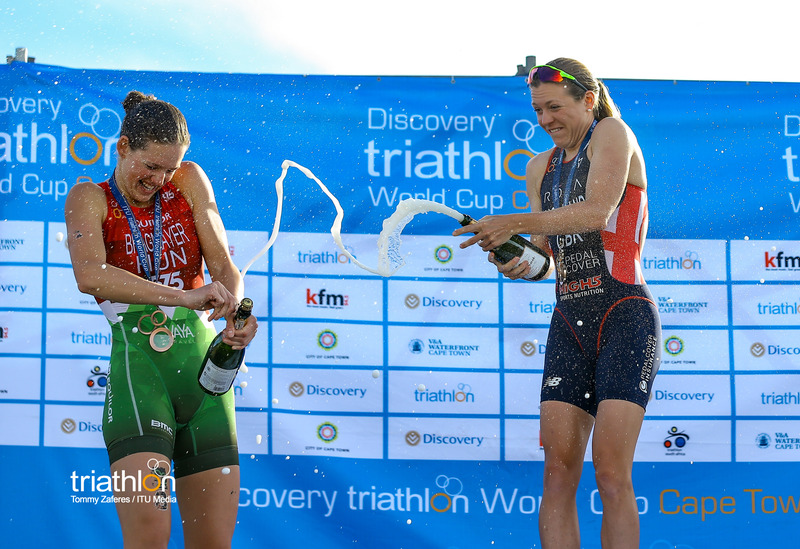 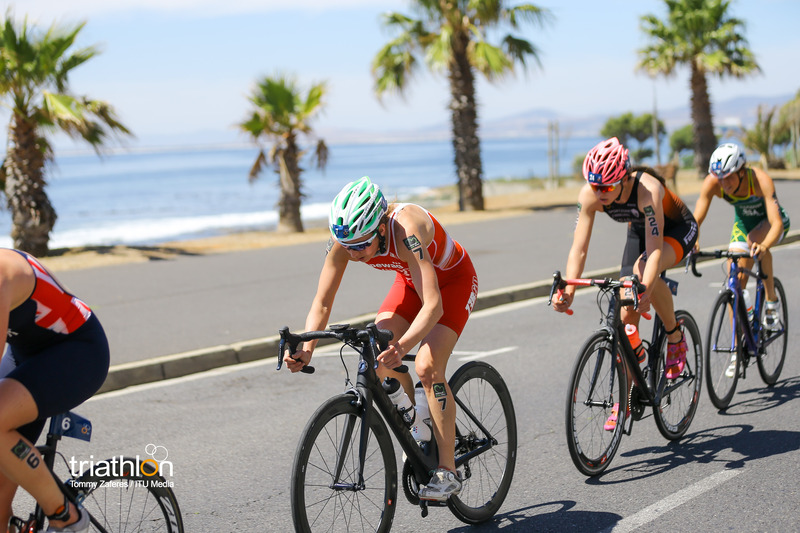 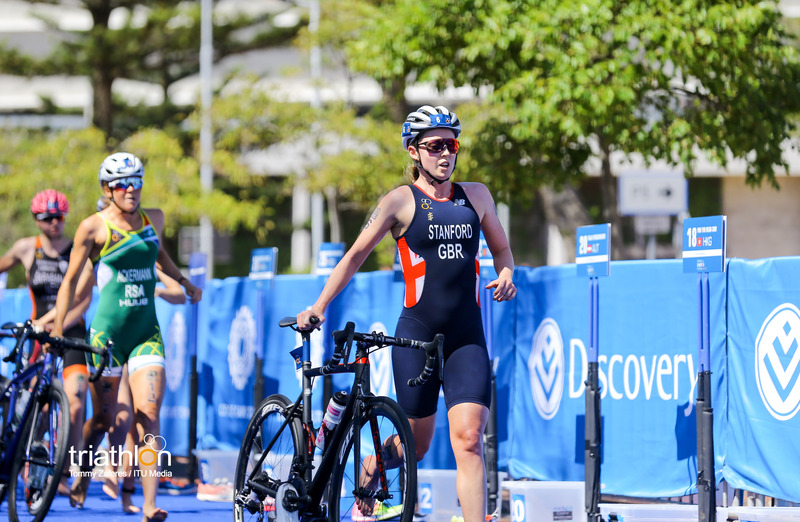 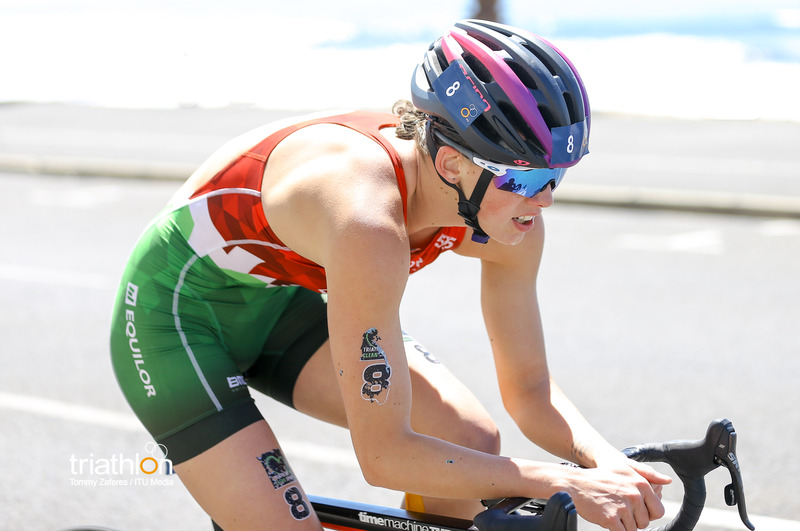 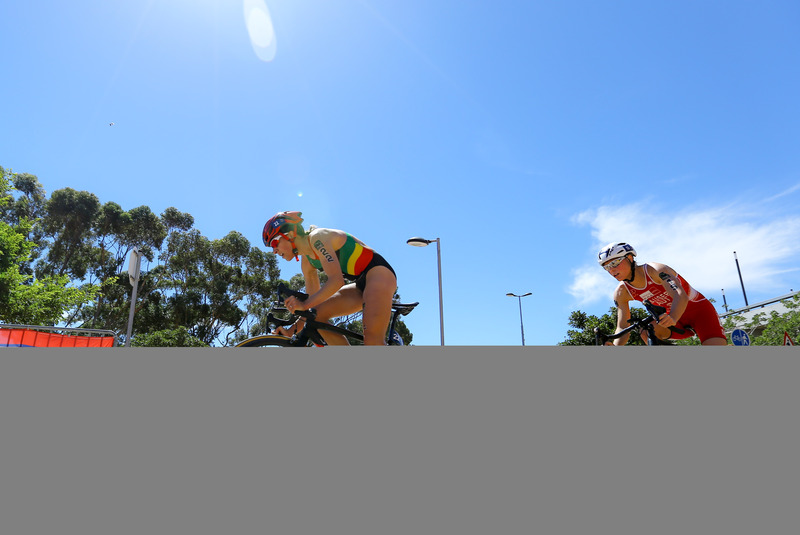 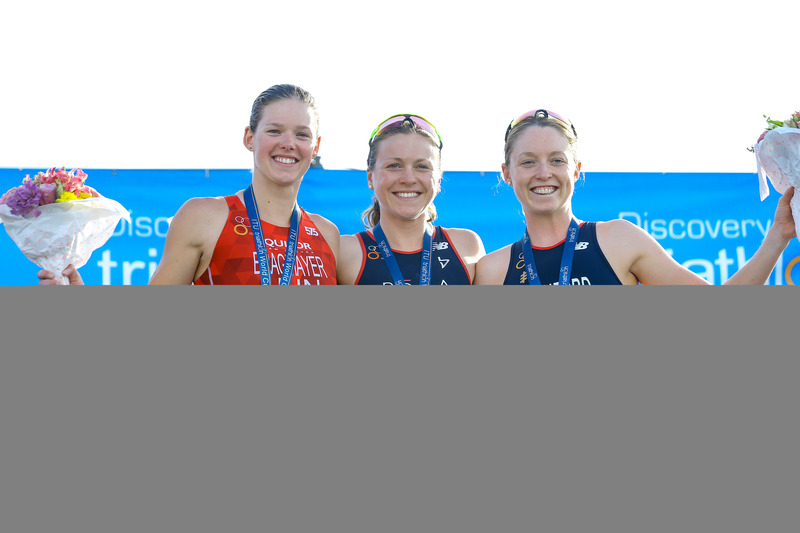 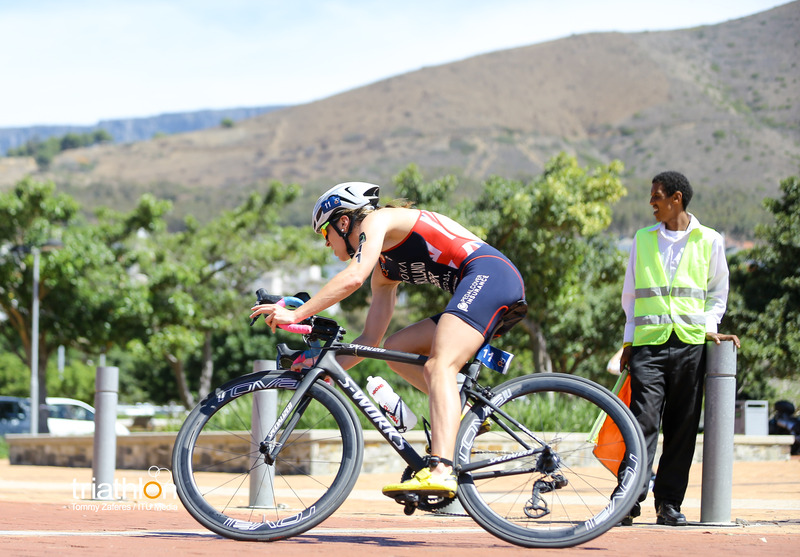 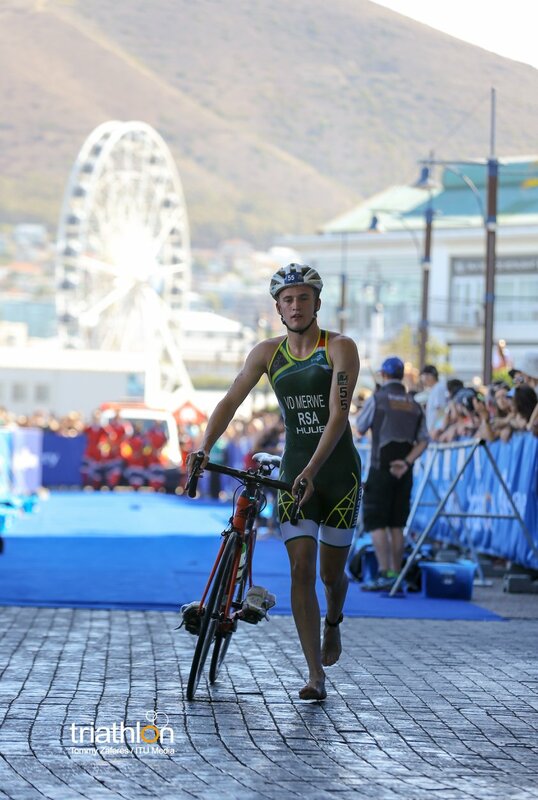 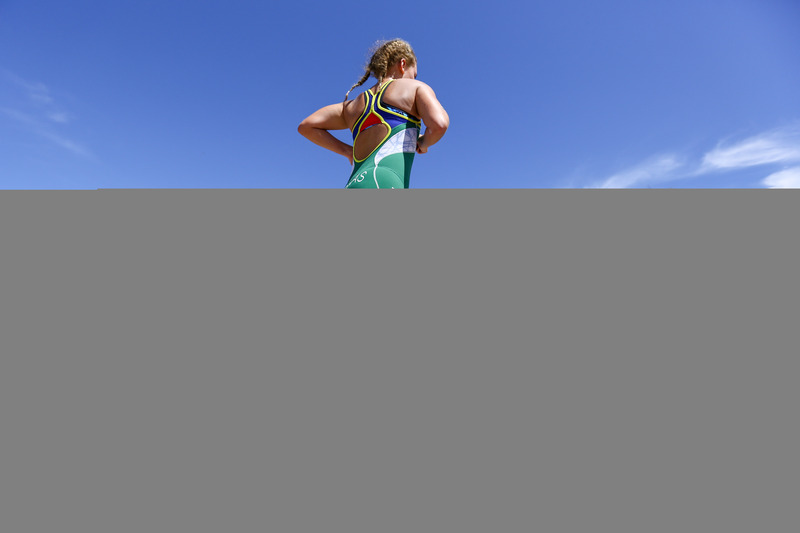 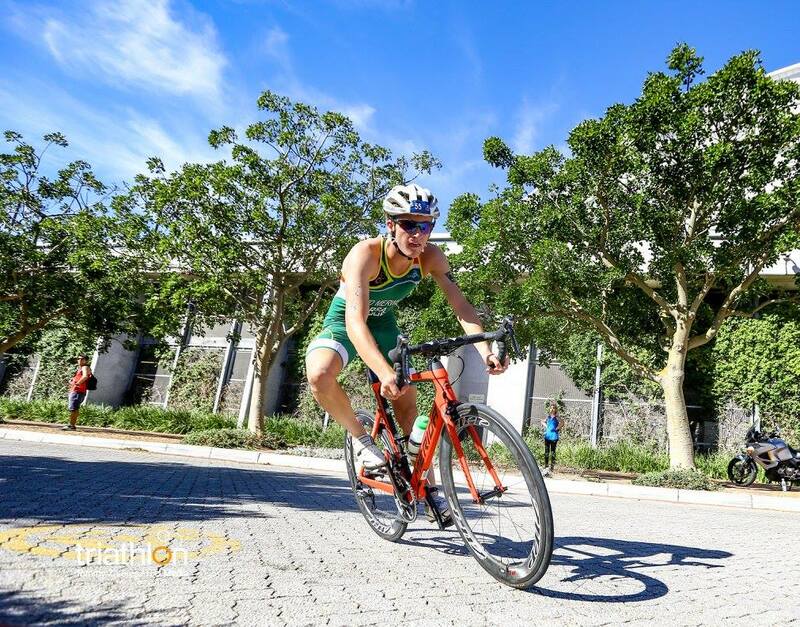 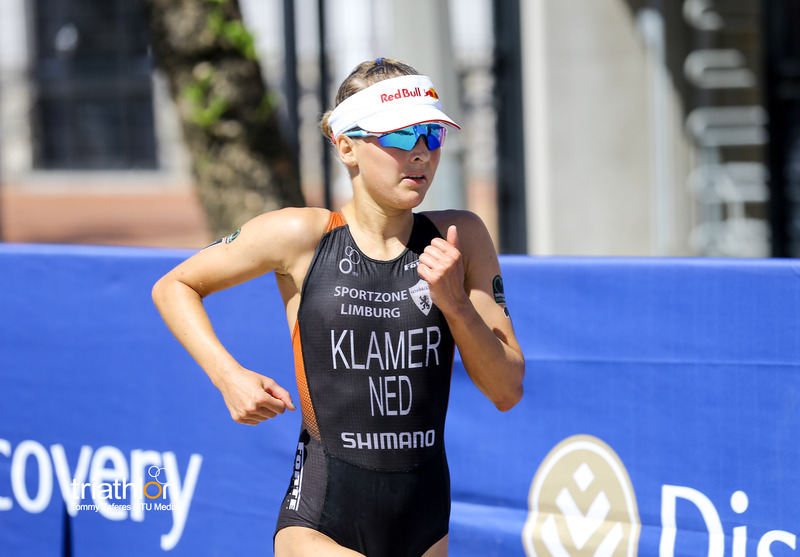 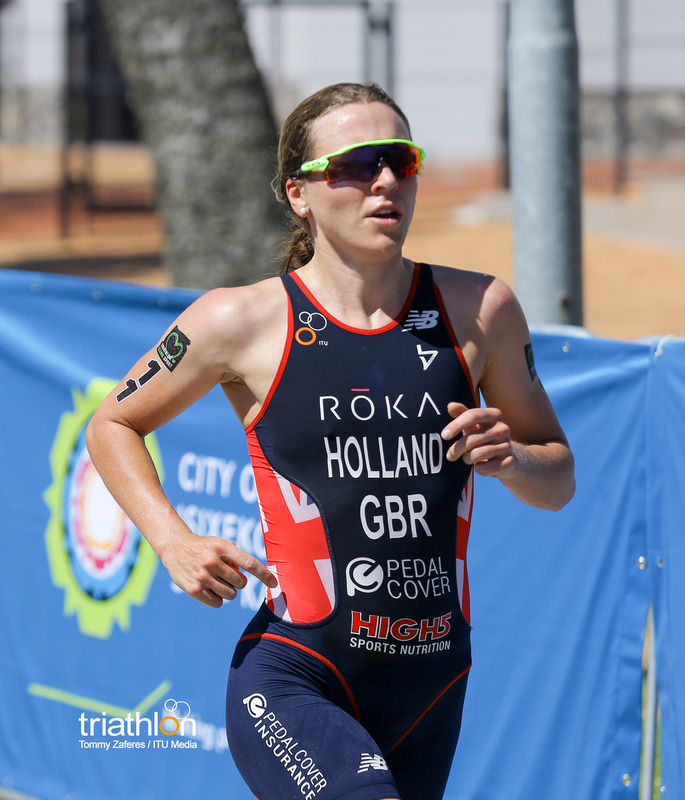 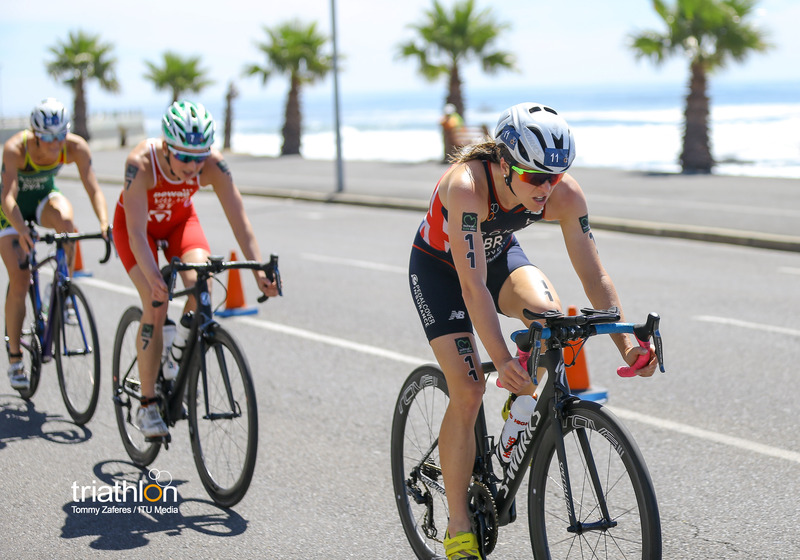 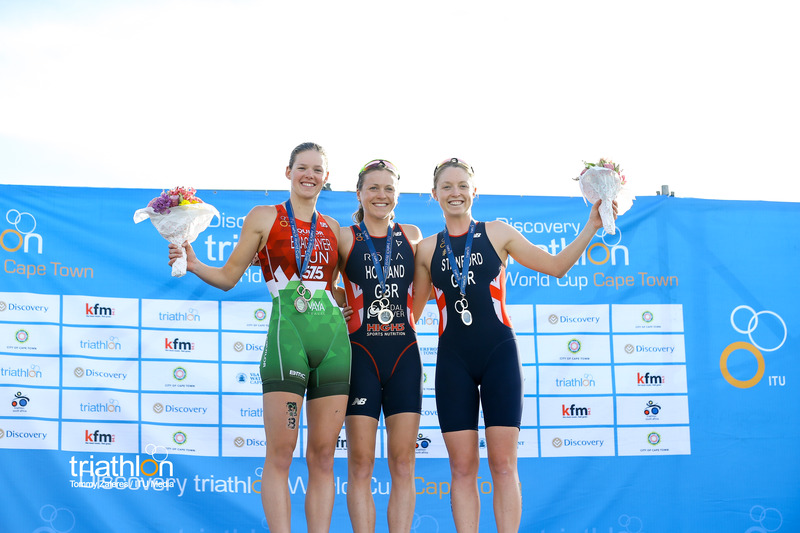 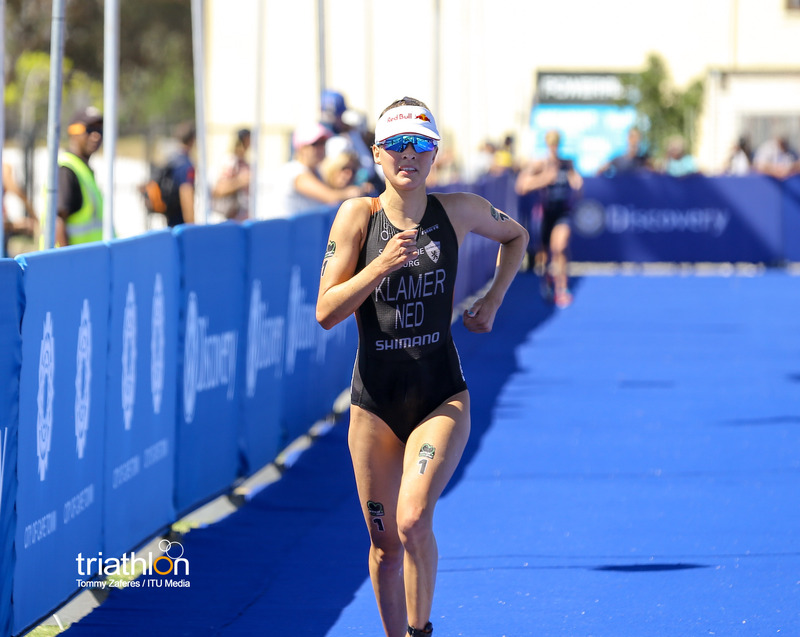 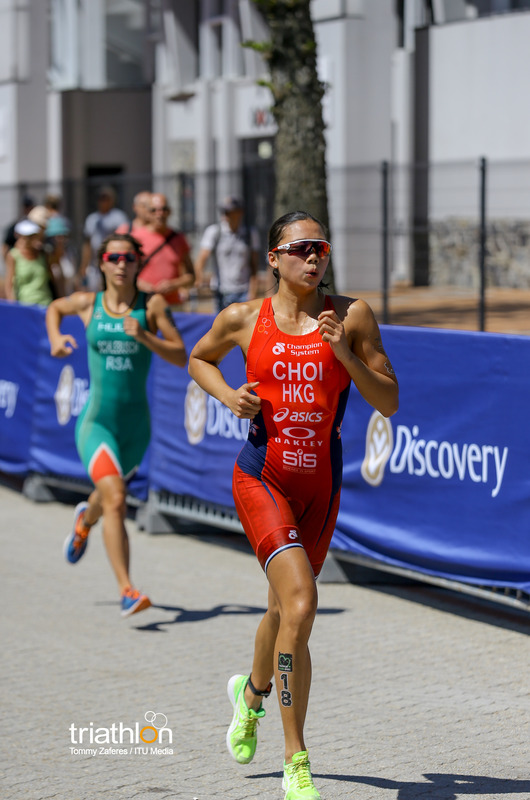 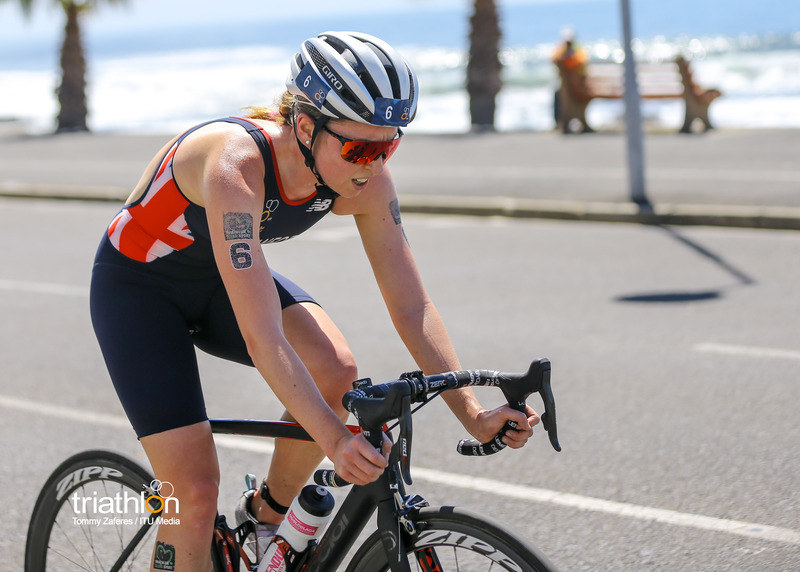 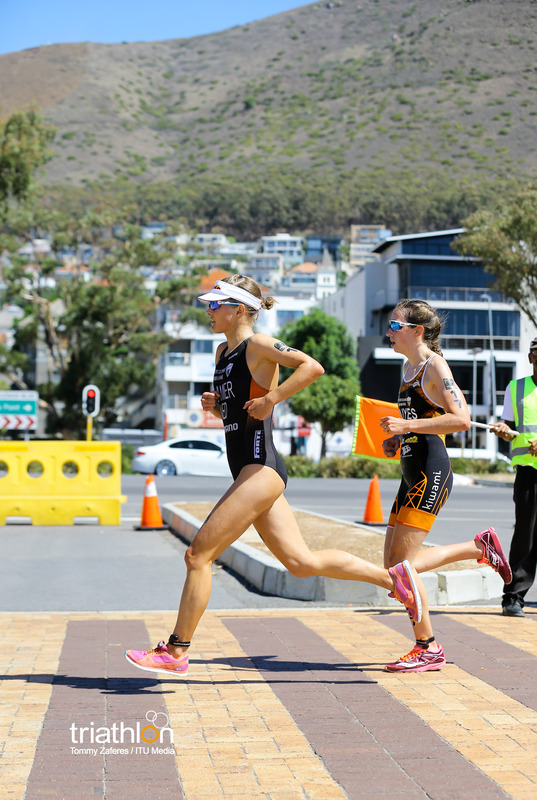 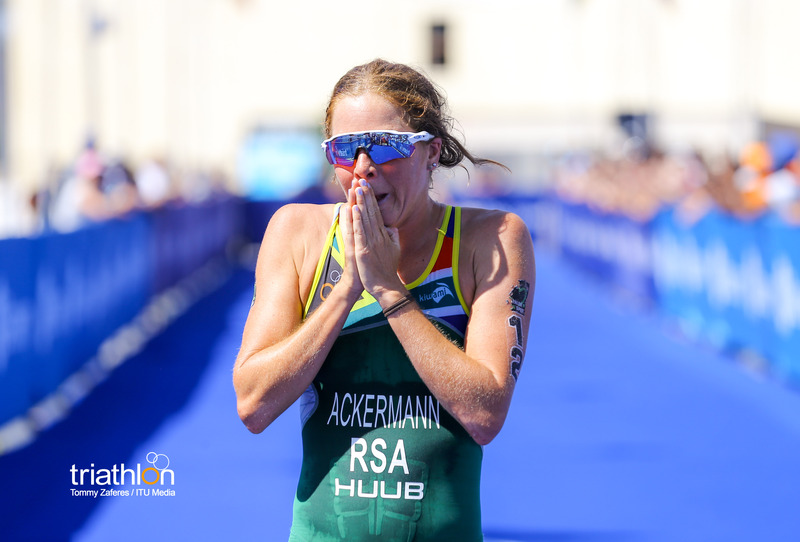 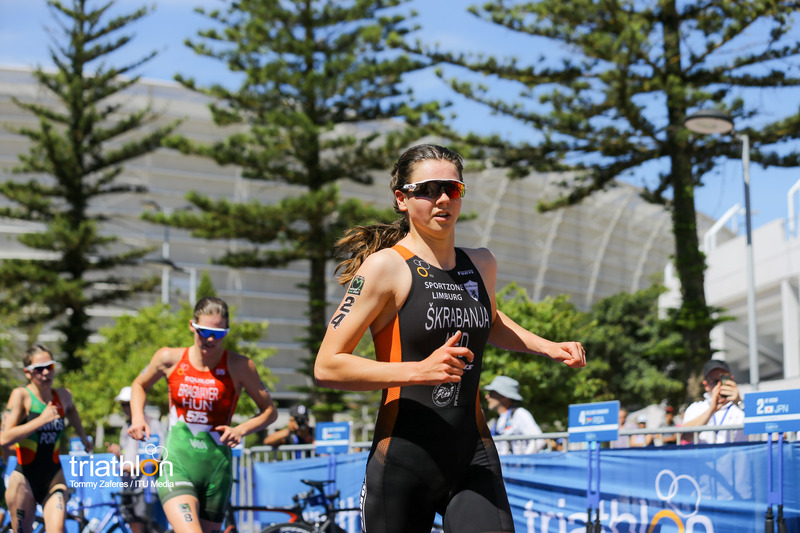 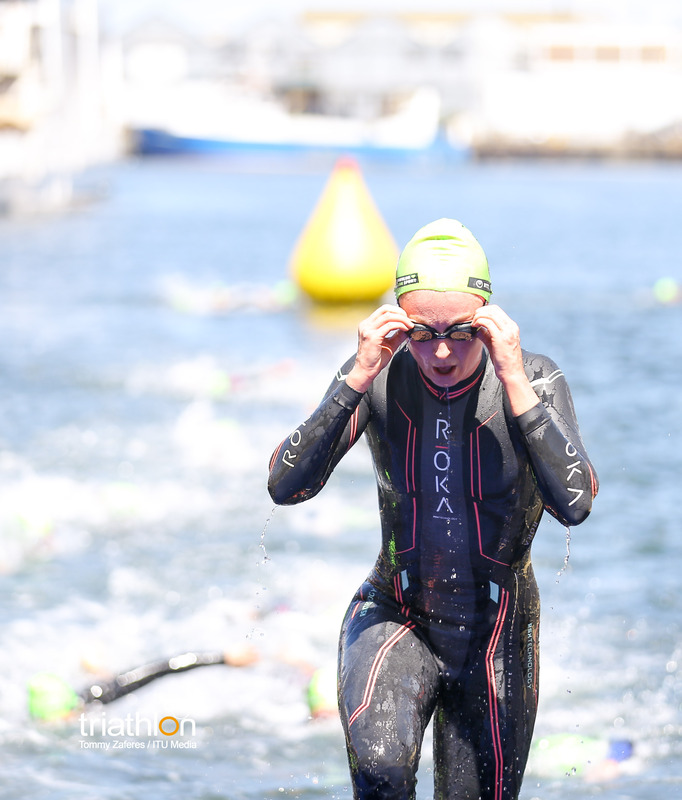 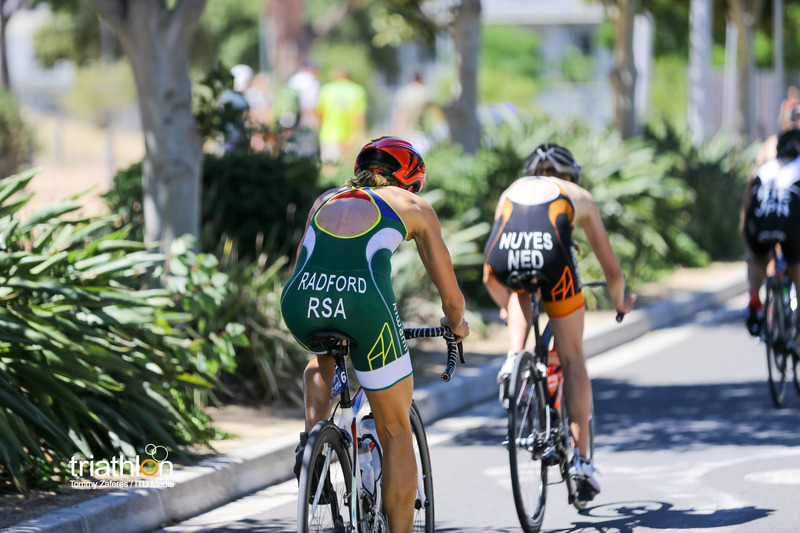 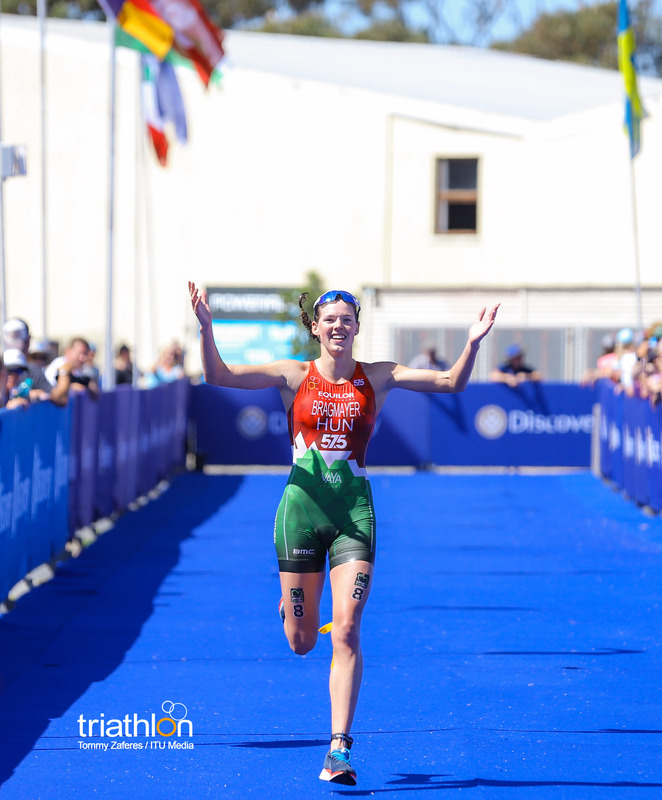 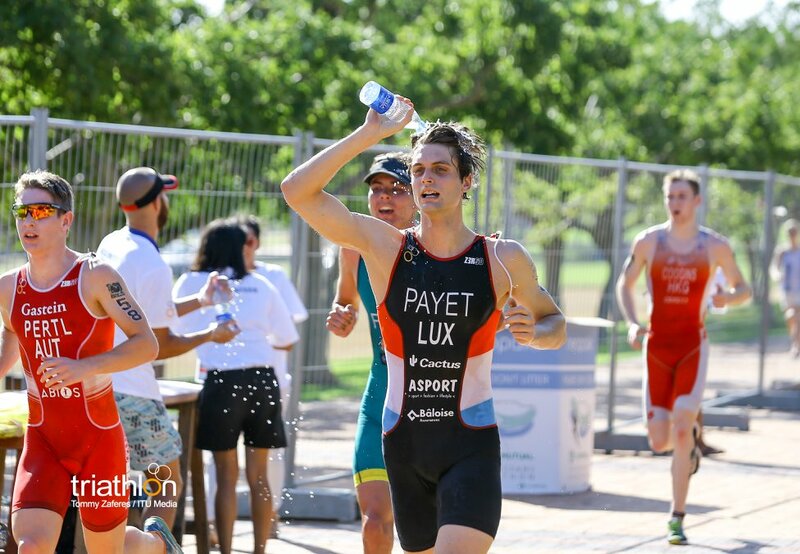 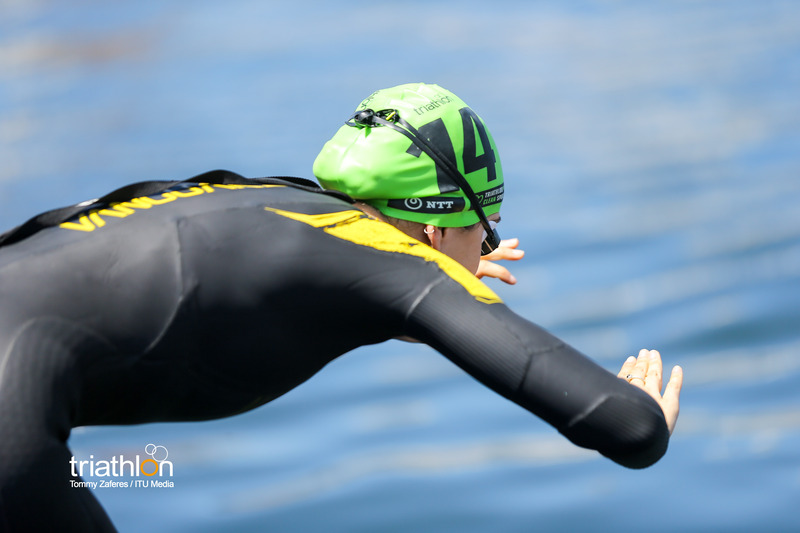 The women will get the 2018 Cape Town ITU Triathlon World Cup underway at 14.15 on Sunday February 11, while the men will follow at 16.15 local time. 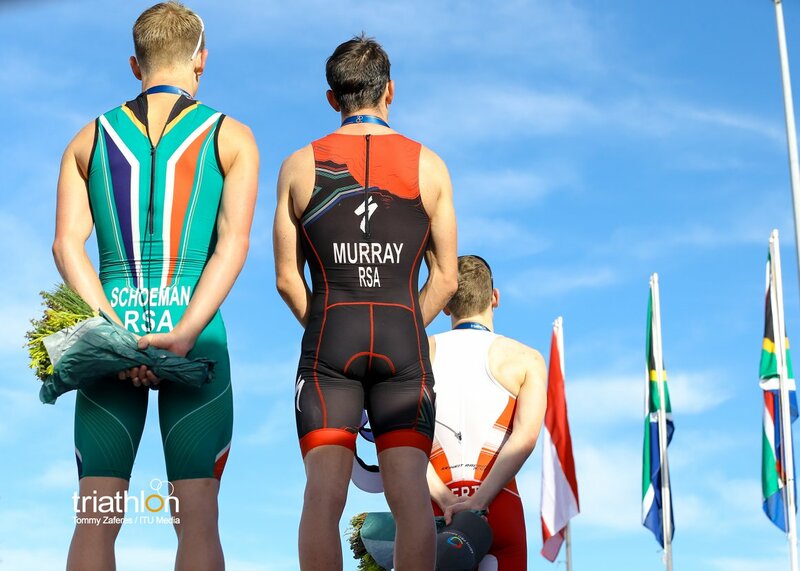 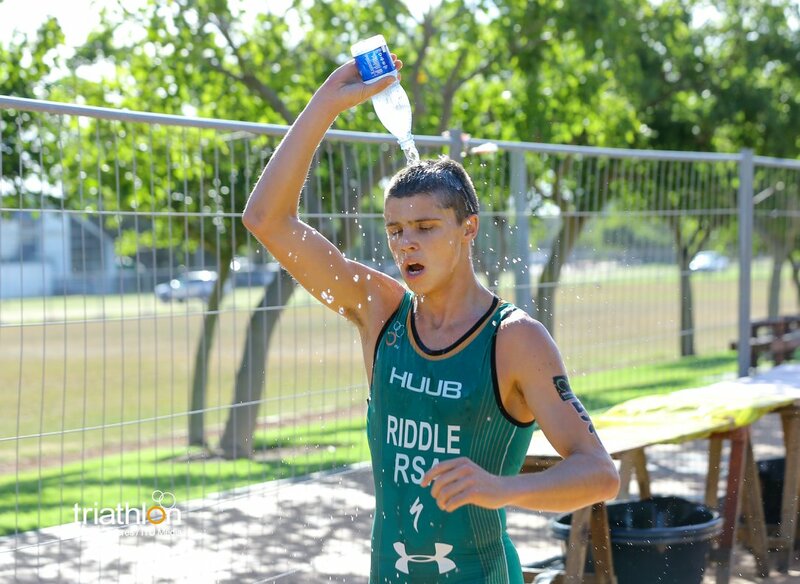 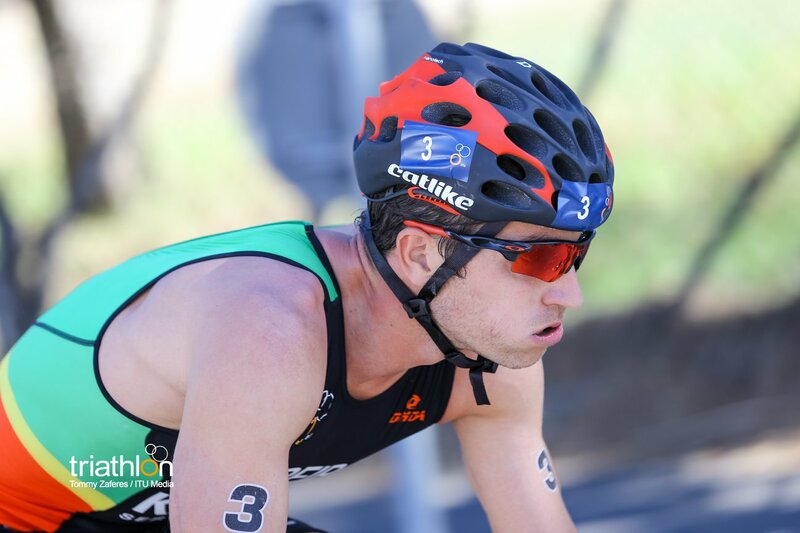 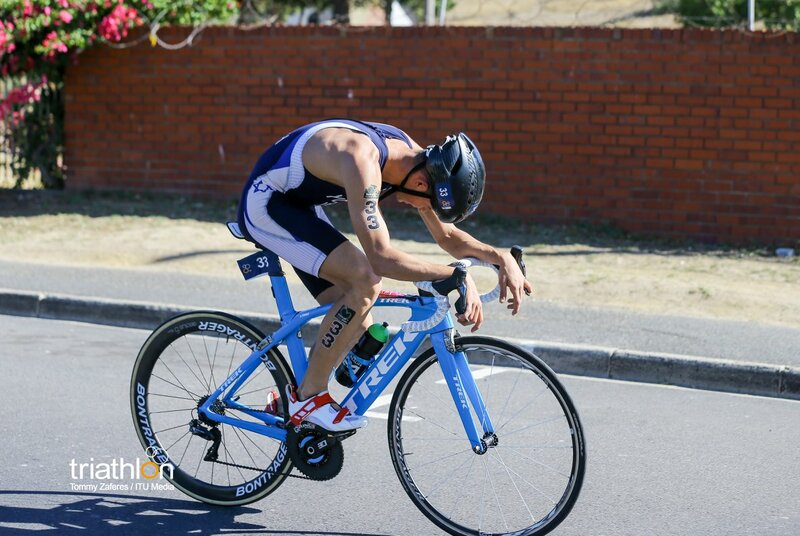 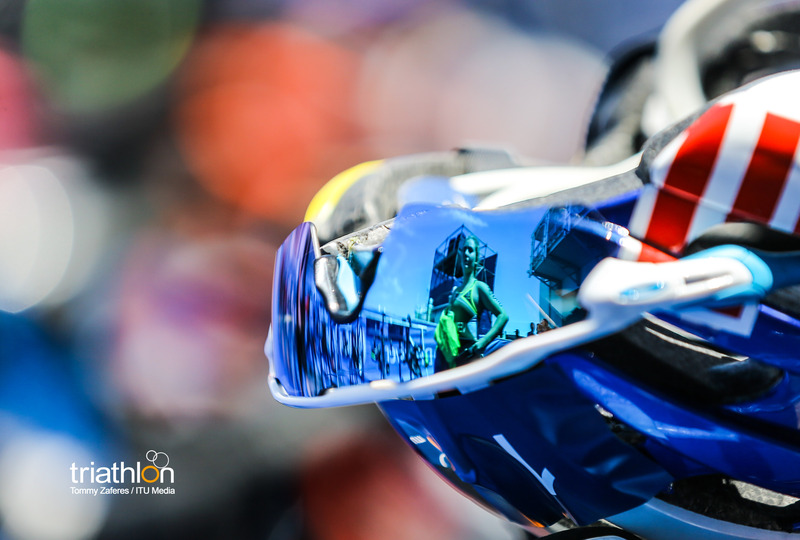 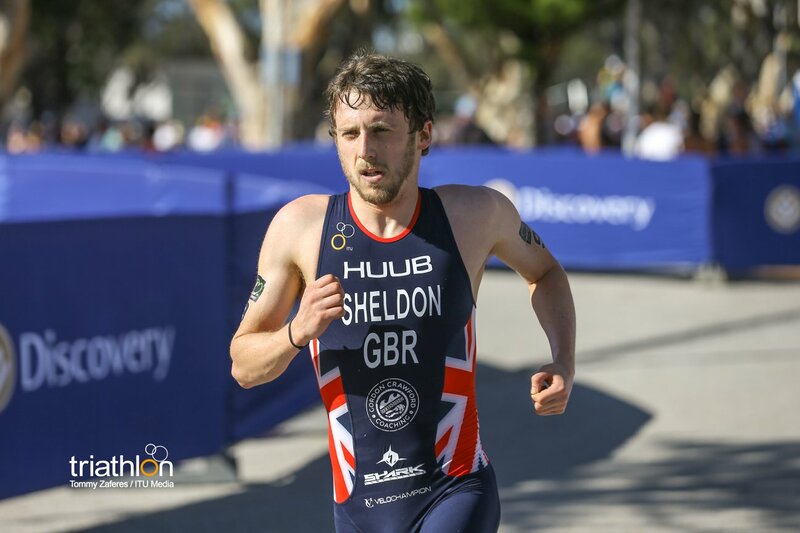 Follow all of the action with live timing at triathlon.org/live and on twitter @triathlonlive.